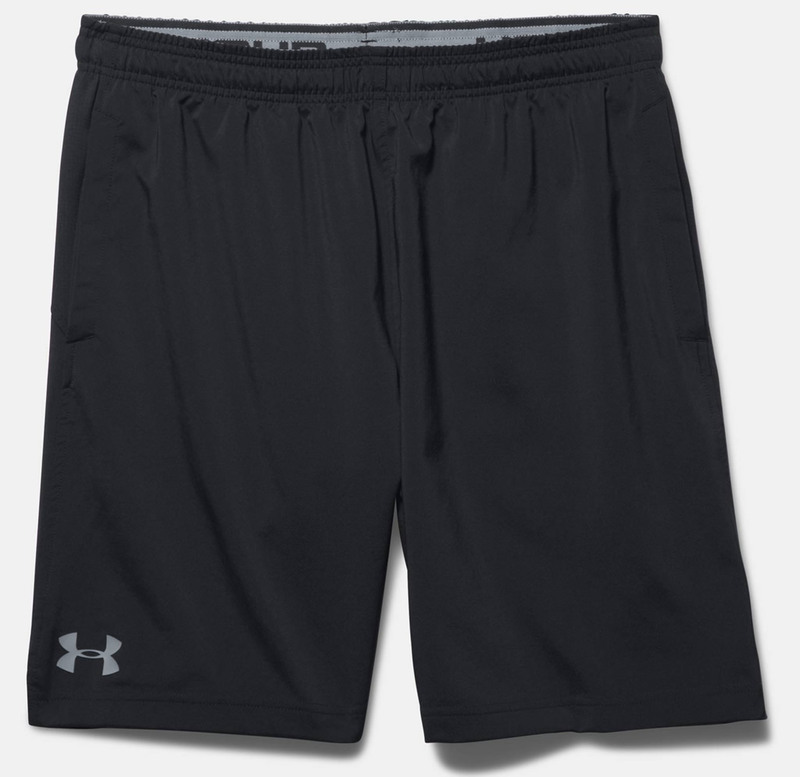 Home » Fitness » Check Out This Perfect Under Armour Gym Outfit For Men! 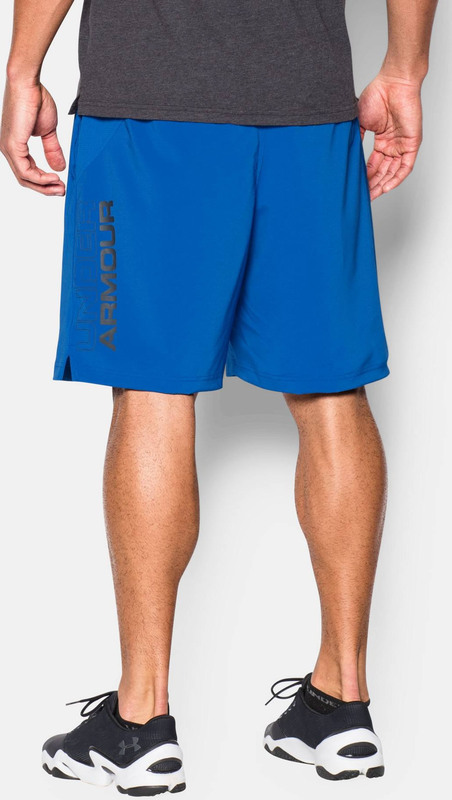 Anyone can hit the gym for a month or two before calling it quits for various reasons, but if you’re one of those guys who takes his training seriously, then you’re probably well-aware of the importance of a high-quality men’s gym outfit. 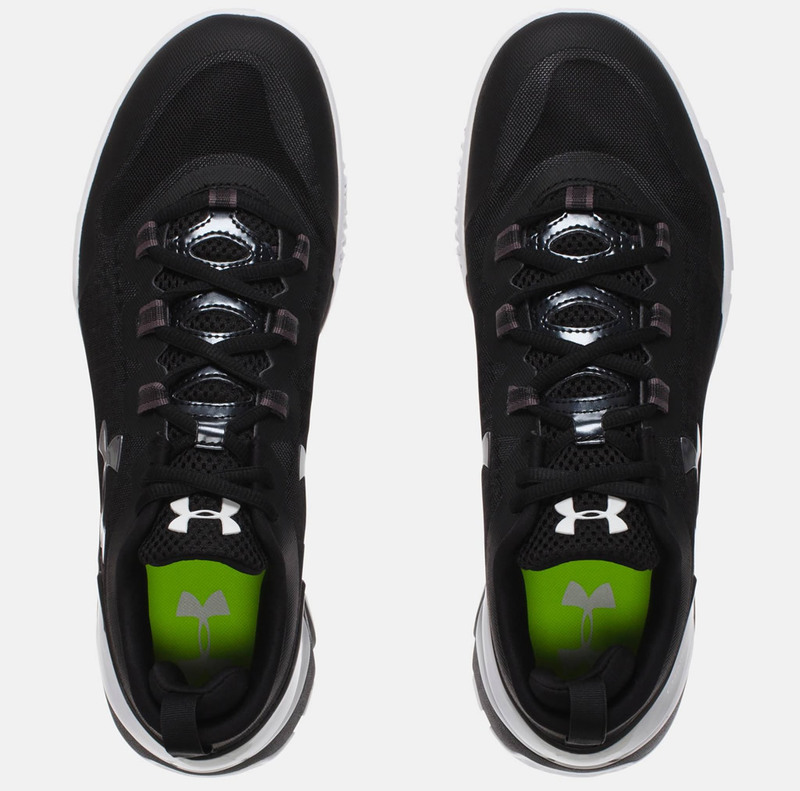 Sure, you could wear just any pair of shoes while you’re hitting the treadmill, but you’re probably going to have to stop at some point, and not necessarily because you’re tired, but because your feet hurt. 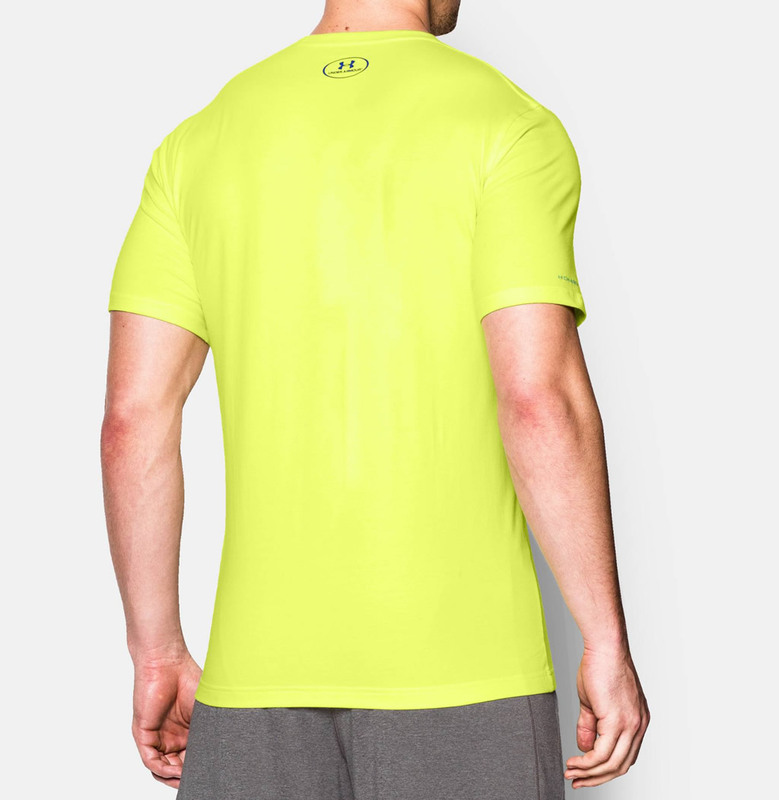 Moreover, T-Shirts and jackets that don’t offer enough breathability will cause you to overheat in no time, and this can definitely have adverse effects on your jogging or weight lifting sessions. 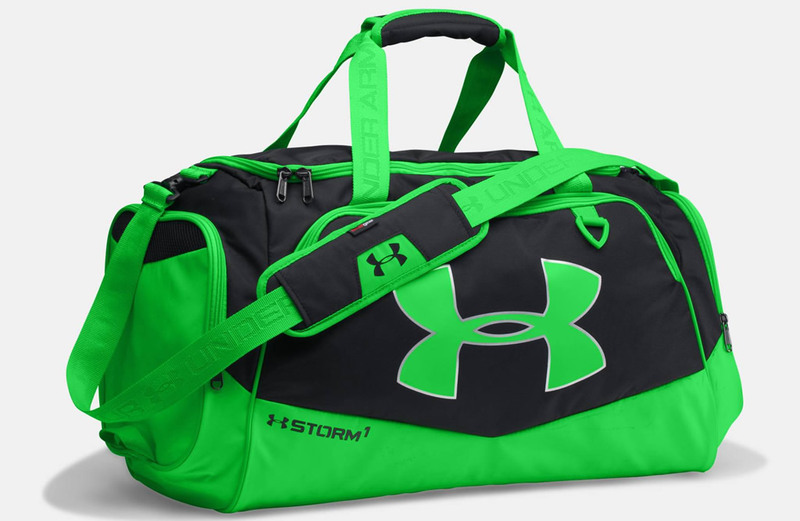 Under Armour is an American sports clothing and accessories company that has been around since 1996. The brand was founded by Kevin Plank, and it is renowned for manufacturing some of the most incredible footwear alternatives, apparel and accessories. 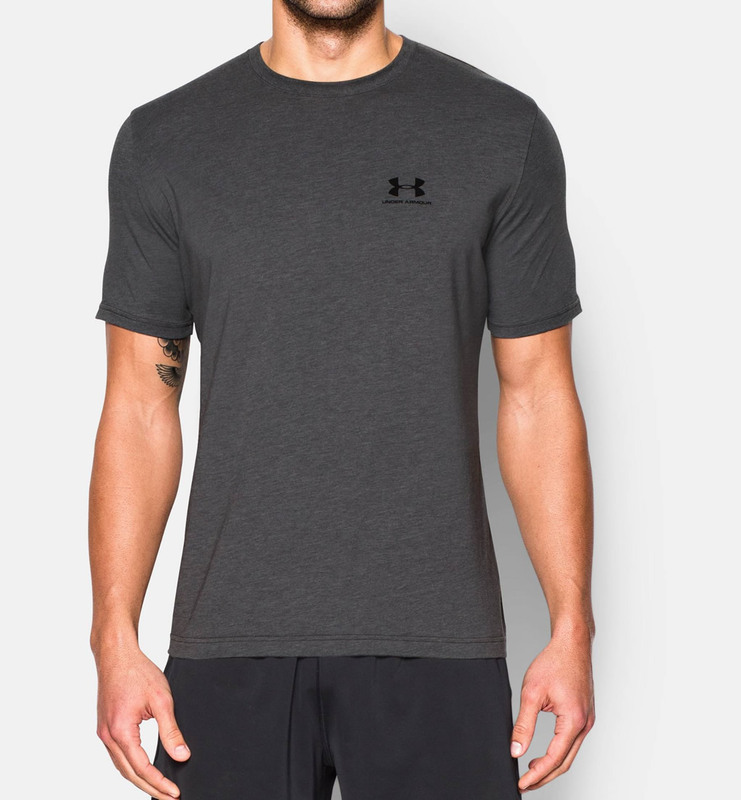 Below you will find a list of Under Armour products that can be combined in order to form the perfect men’s gym outfit. 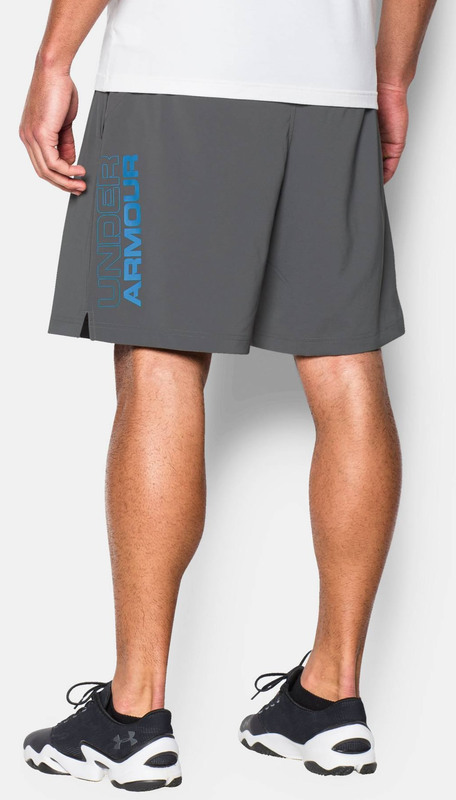 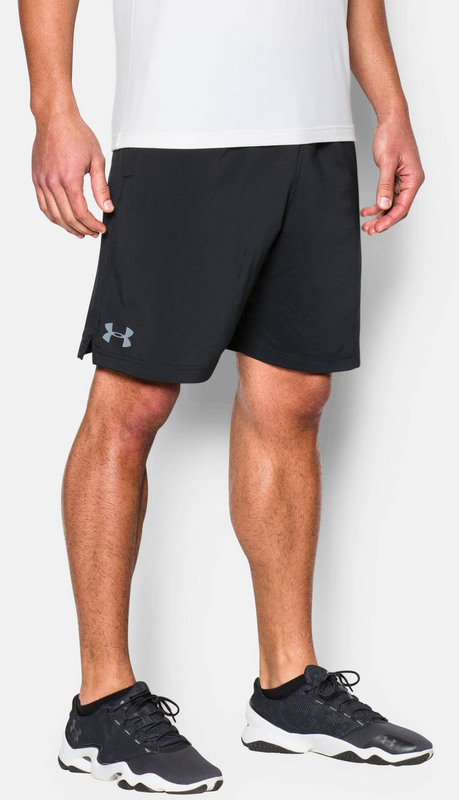 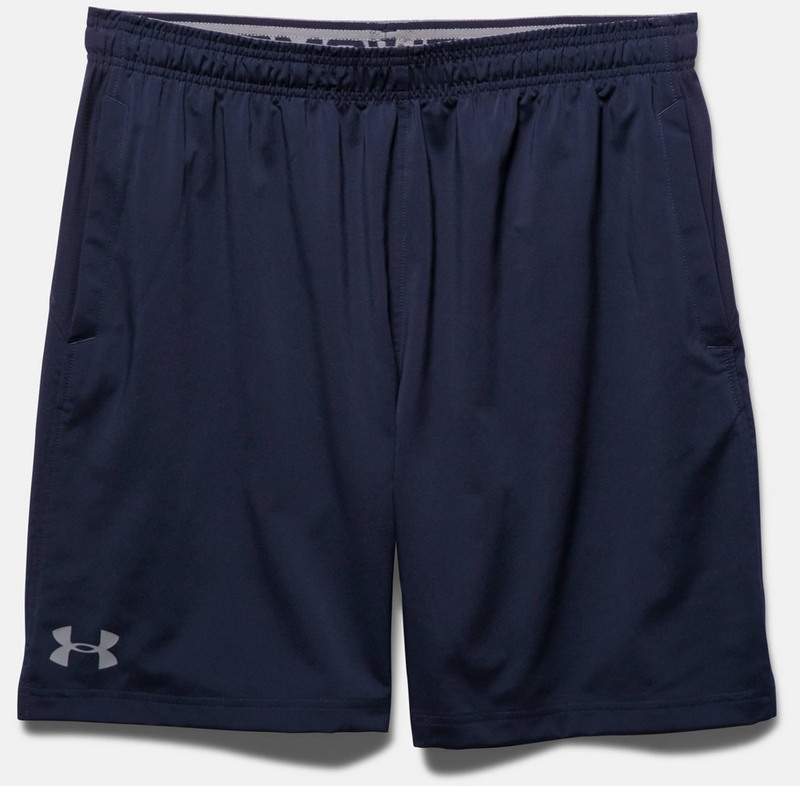 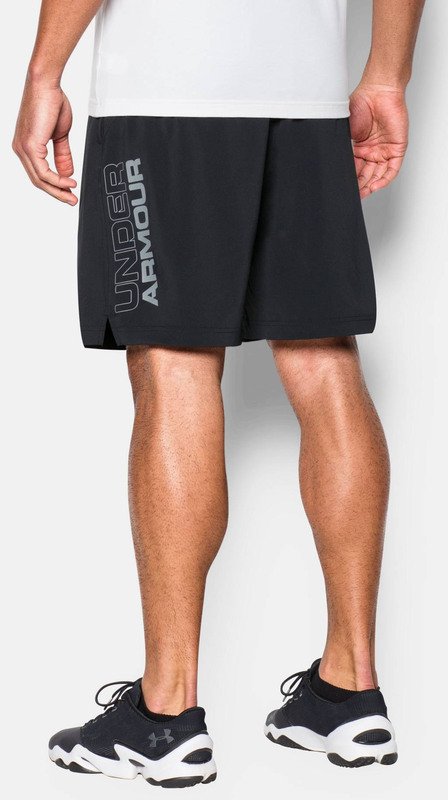 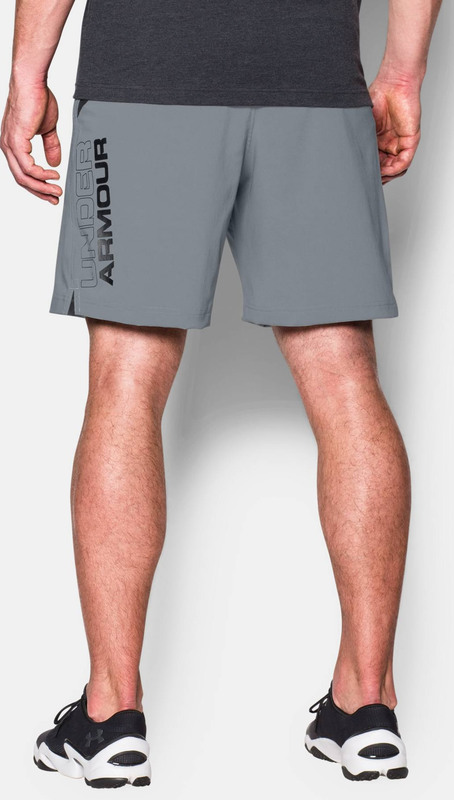 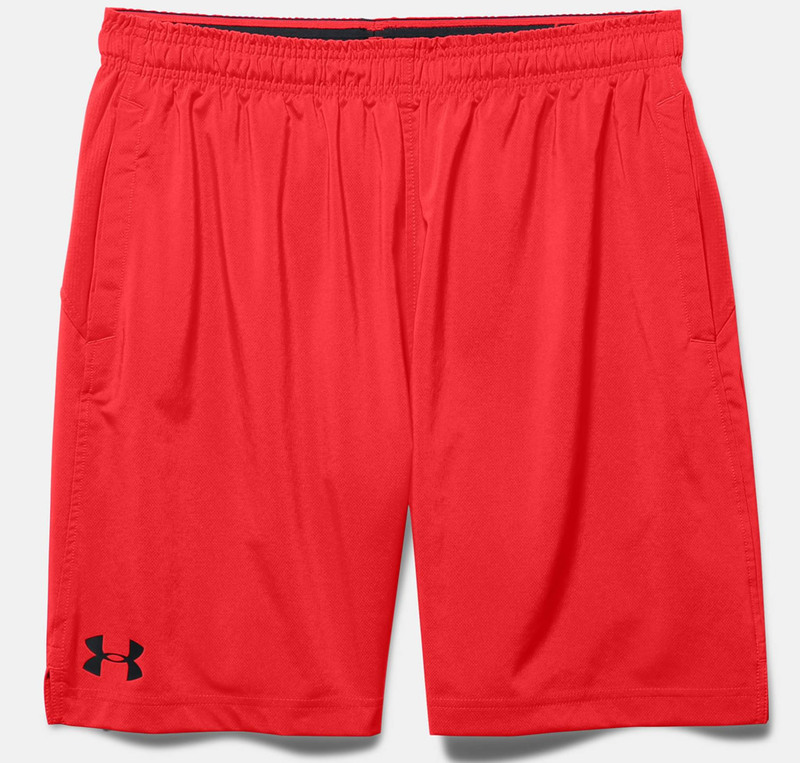 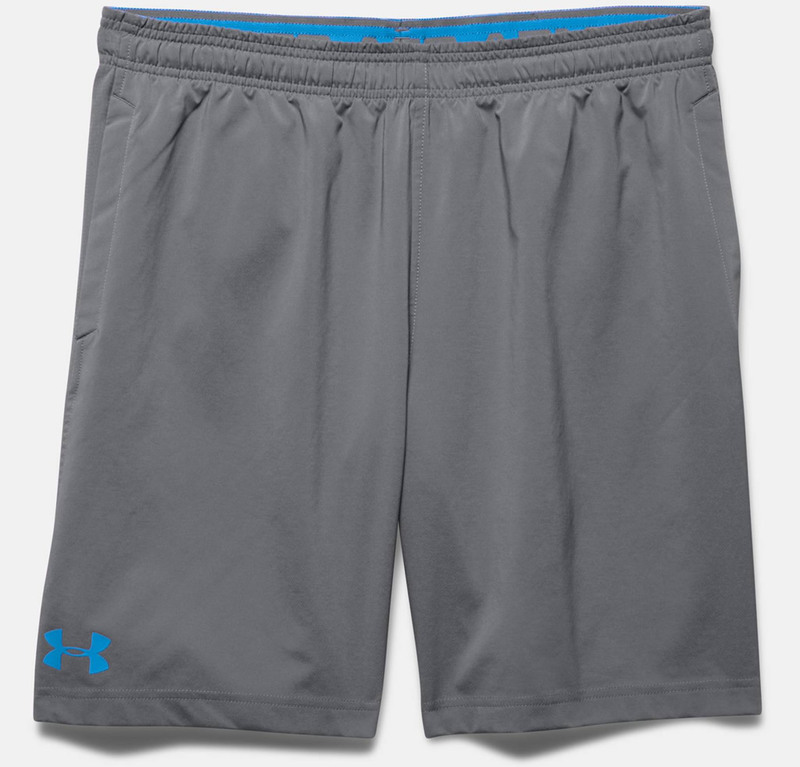 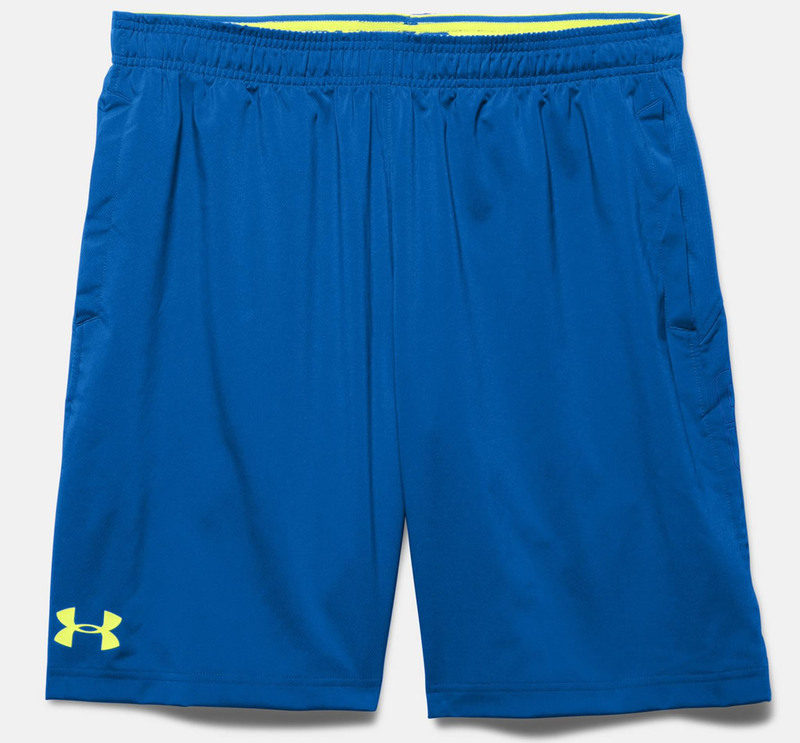 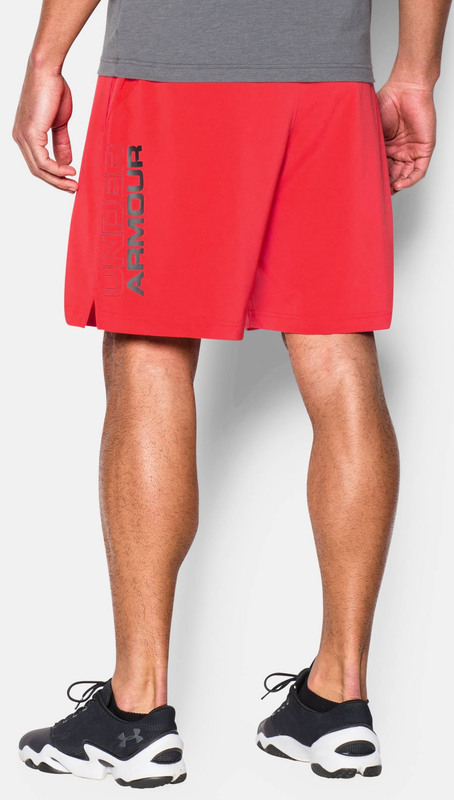 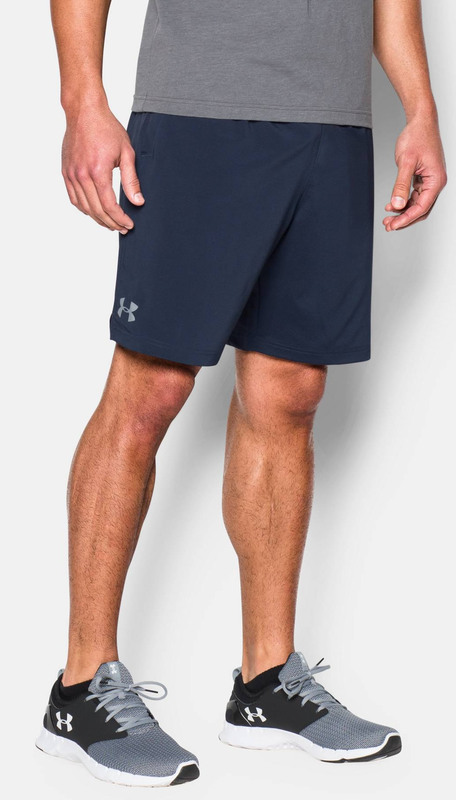 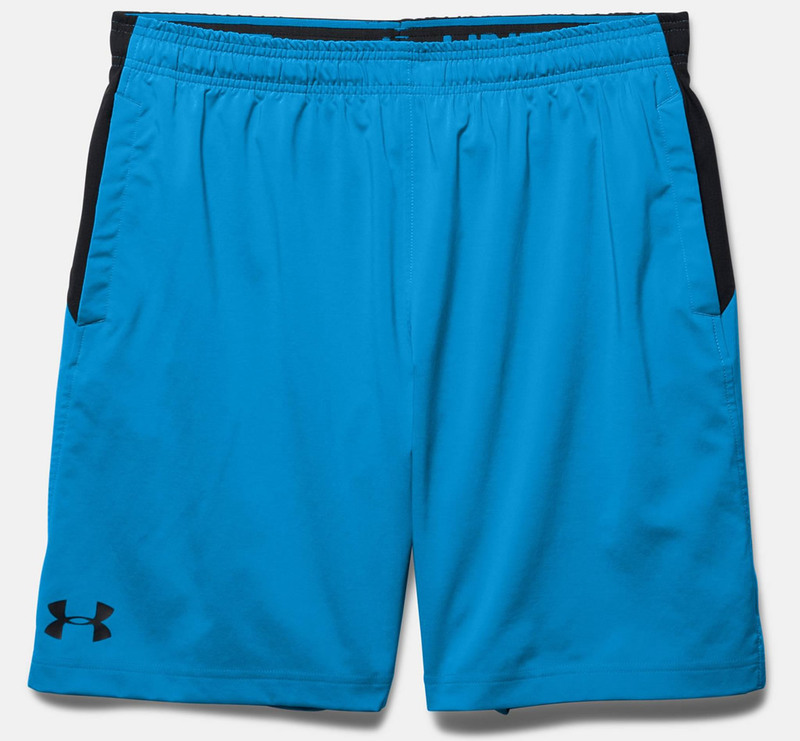 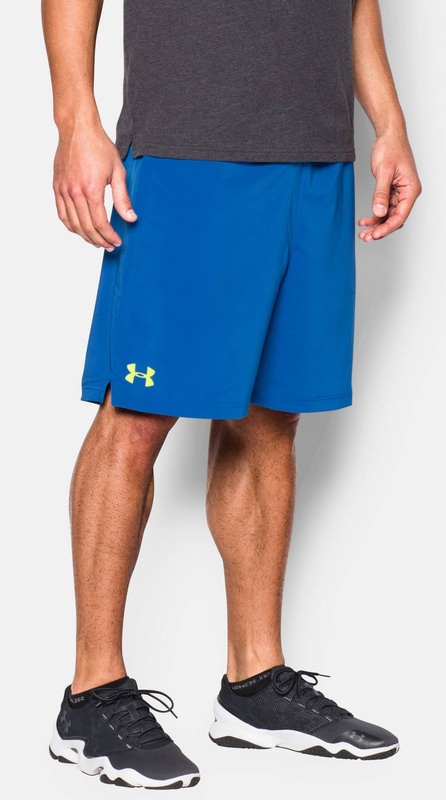 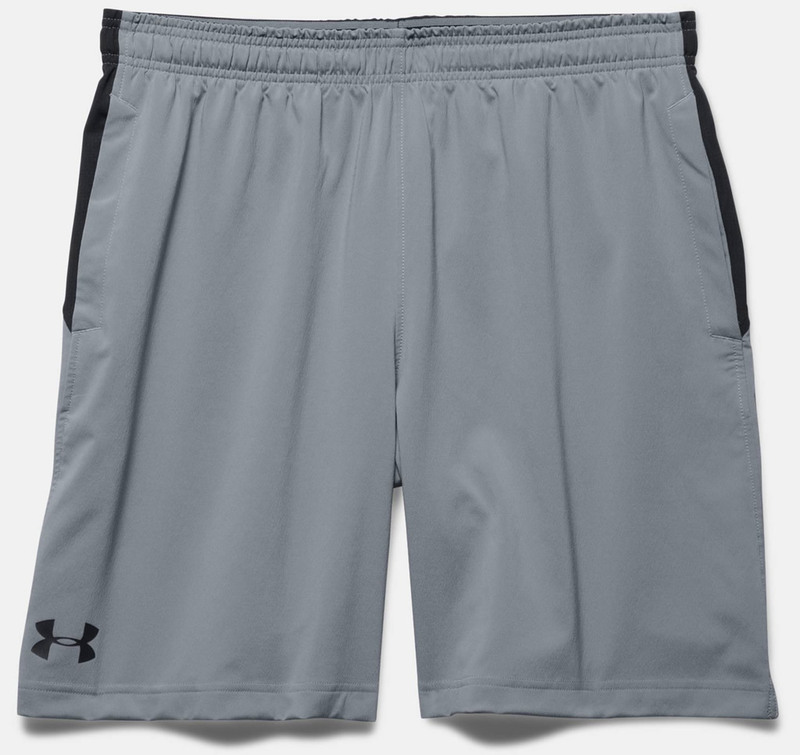 We’re going to start off with the UA Hiit Under Armour men’s shorts, which were created using a mix of Polyester and Elastane for the body, and simple Polyester for the panels. 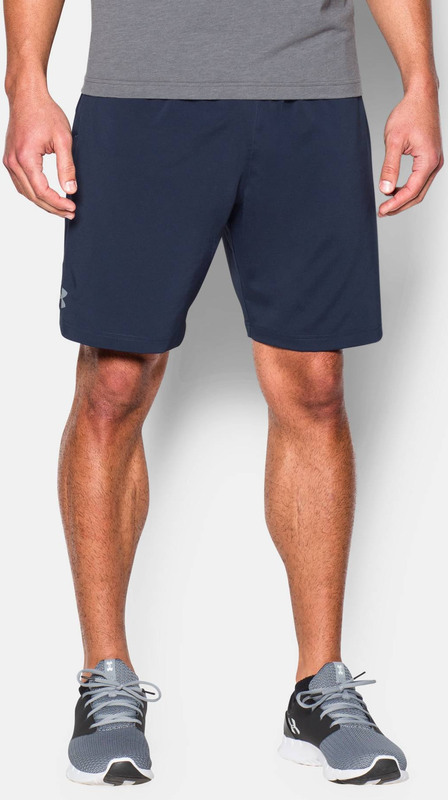 This product boasts a special Moisture Transport System that wicks sweat and helps the shorts dry off in a heartbeat. 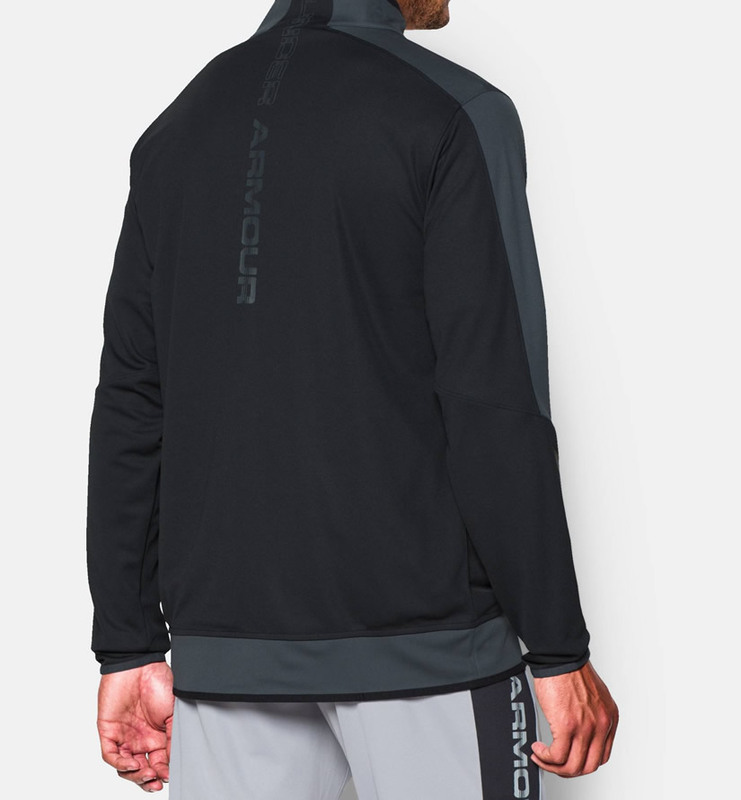 It also includes Armouvernt panels across the upper back, which ensures strategic ventilation. 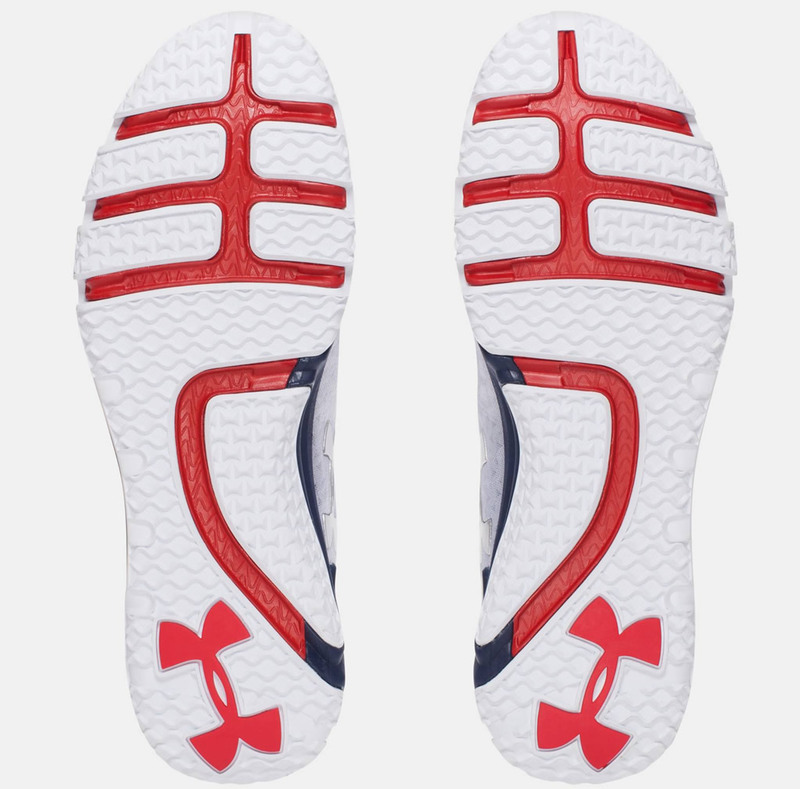 Its four-way stretch fabrication encourages mobility in any direction, while a notch at the hem area supports outstanding lateral movement. 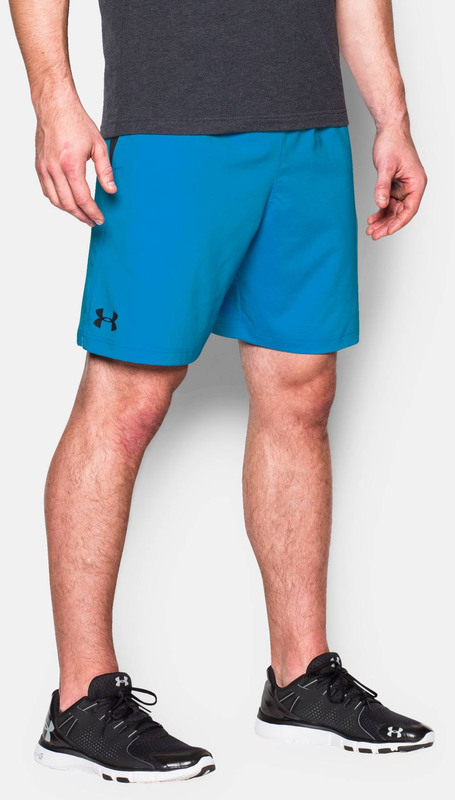 These men’s athletic shorts are available in several colors, including Black, Red, Steel, Graphite, Midnight Navy, Rocket Red, Electric Blue and Ultra Blue. 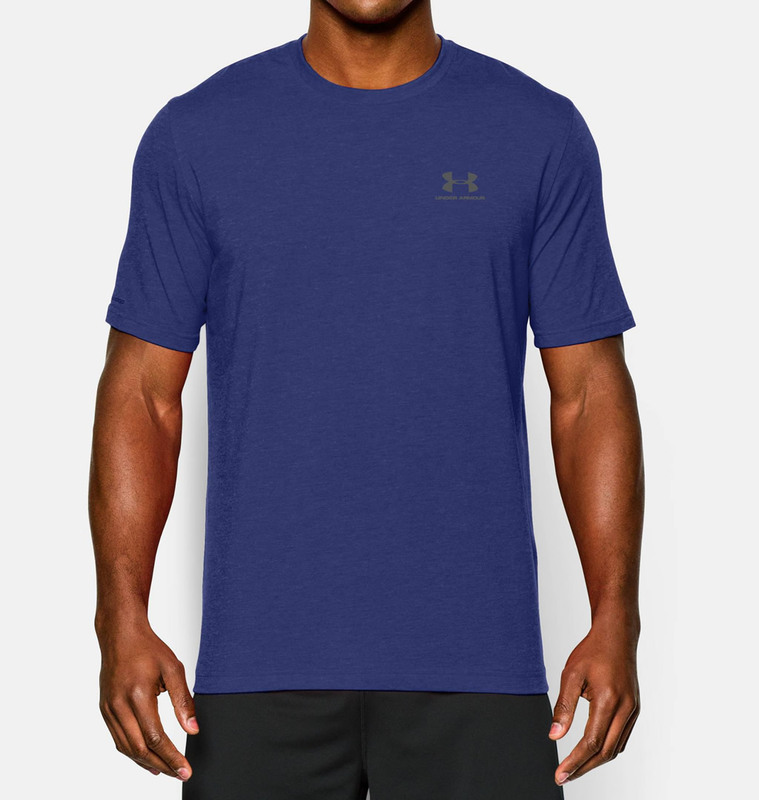 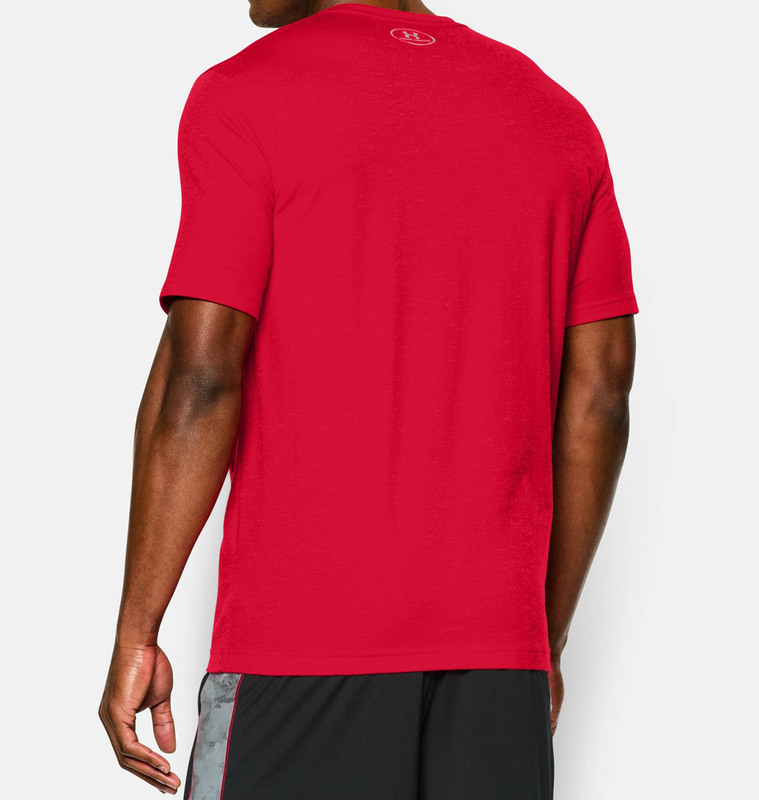 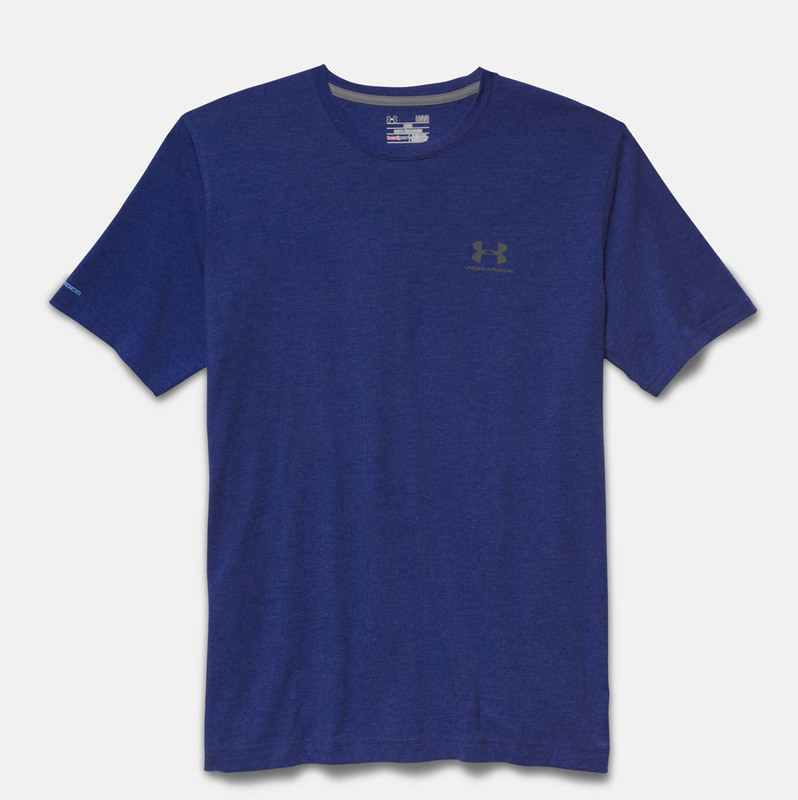 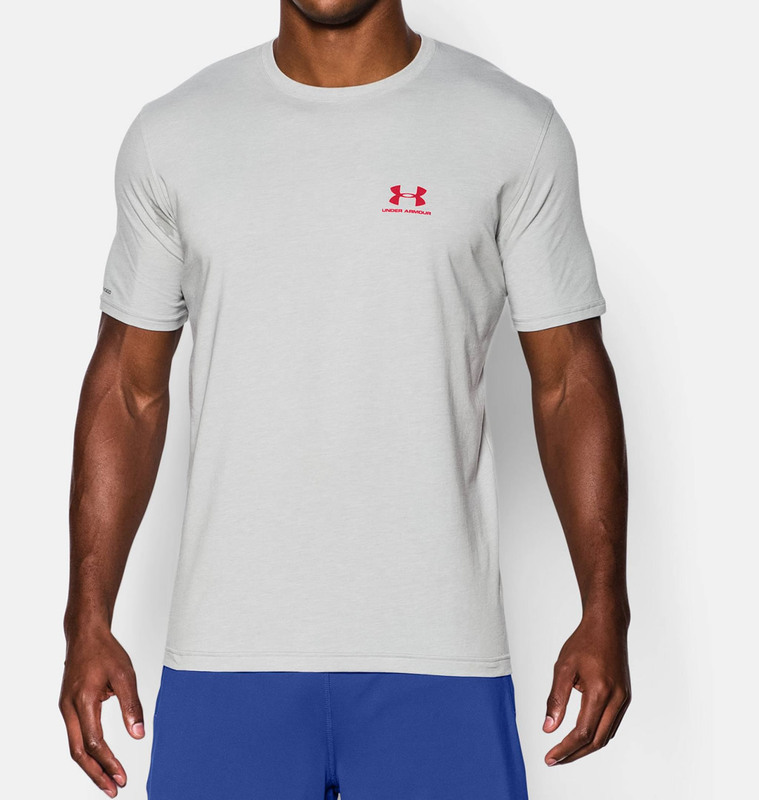 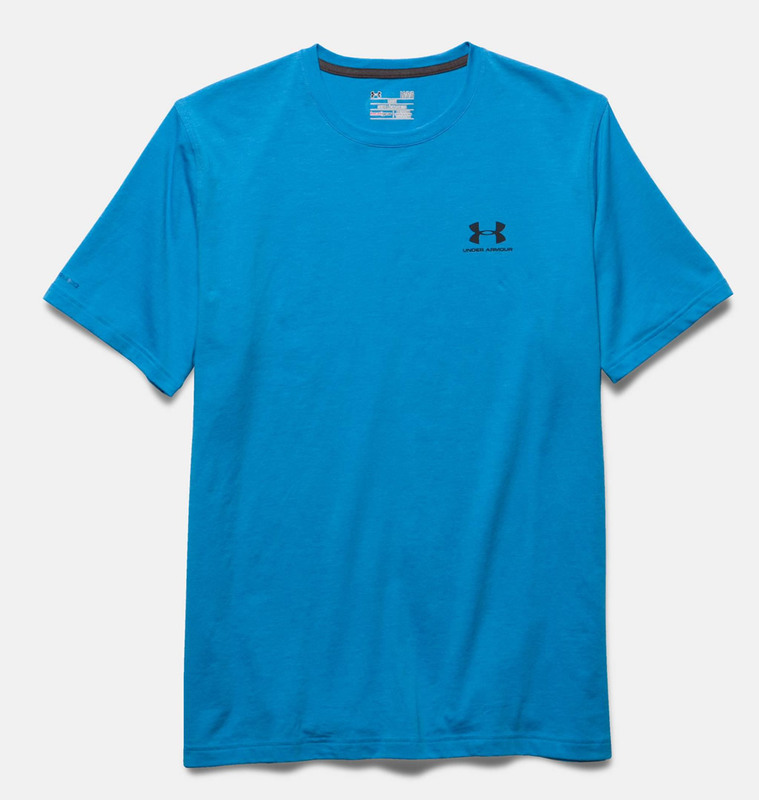 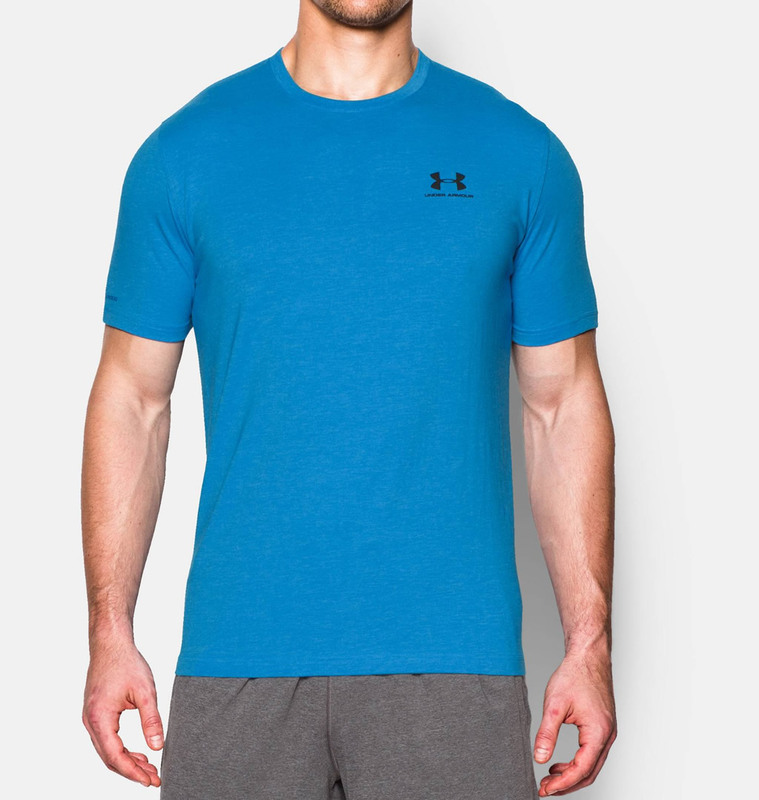 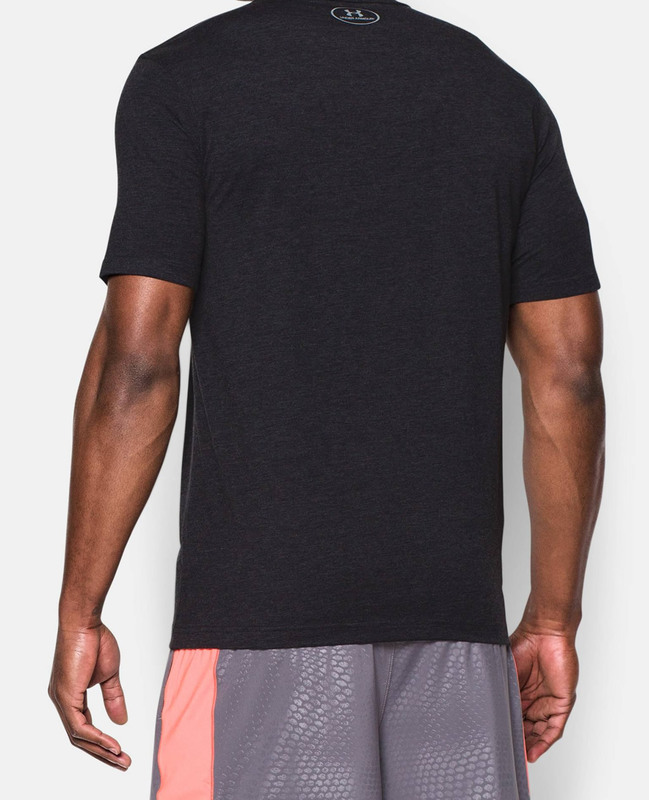 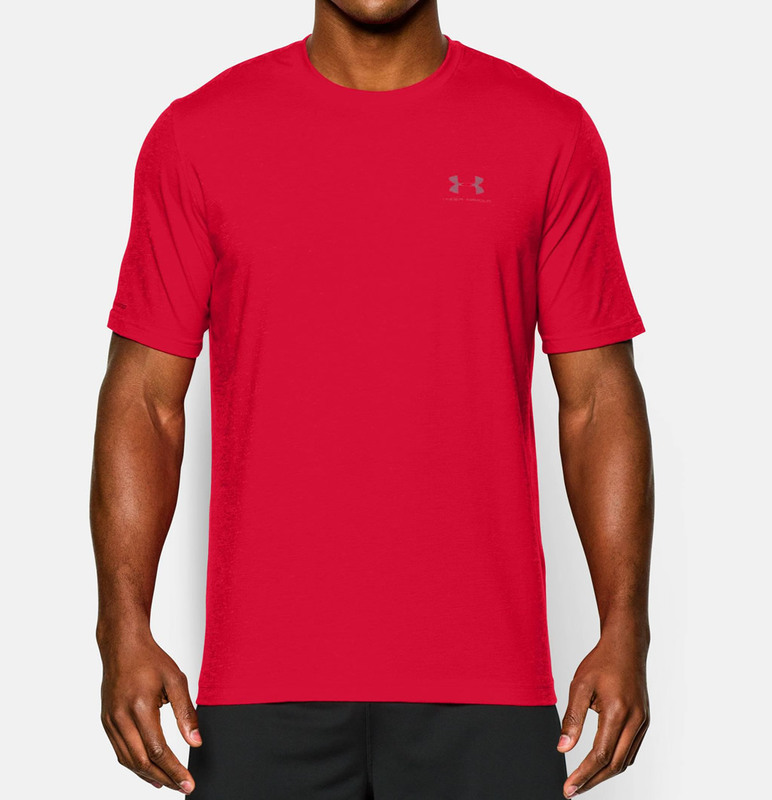 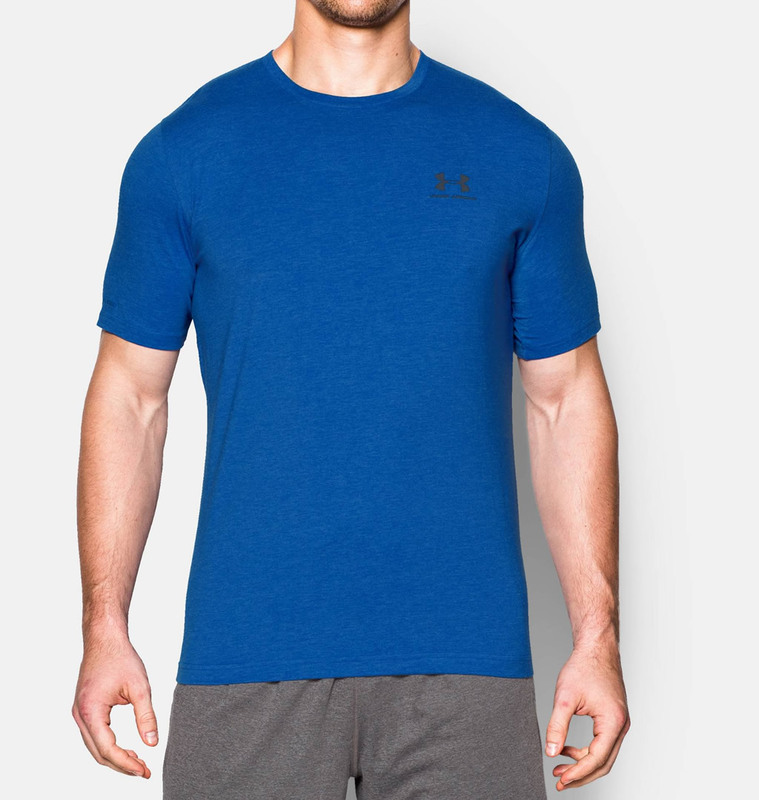 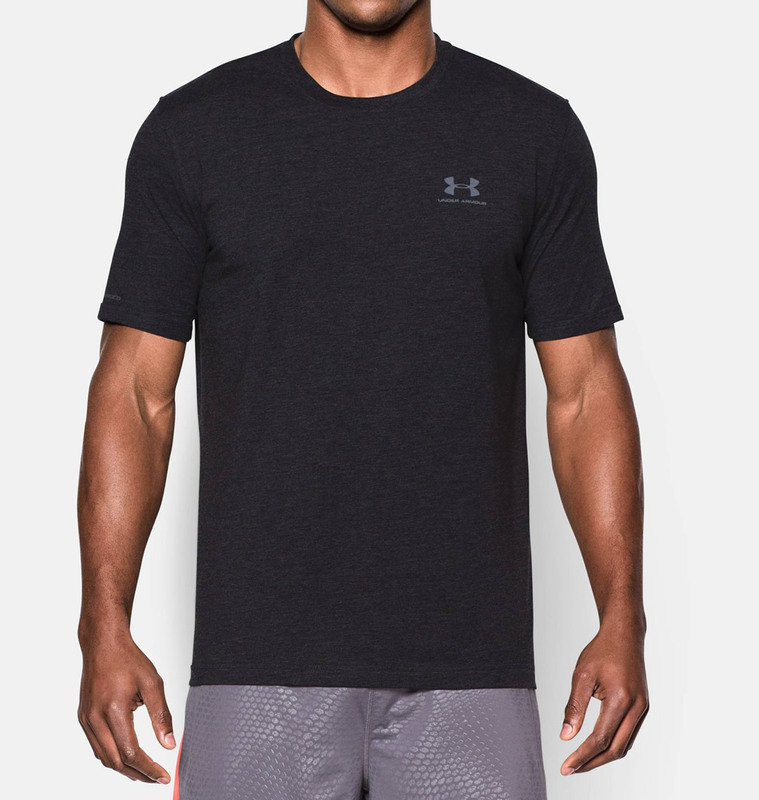 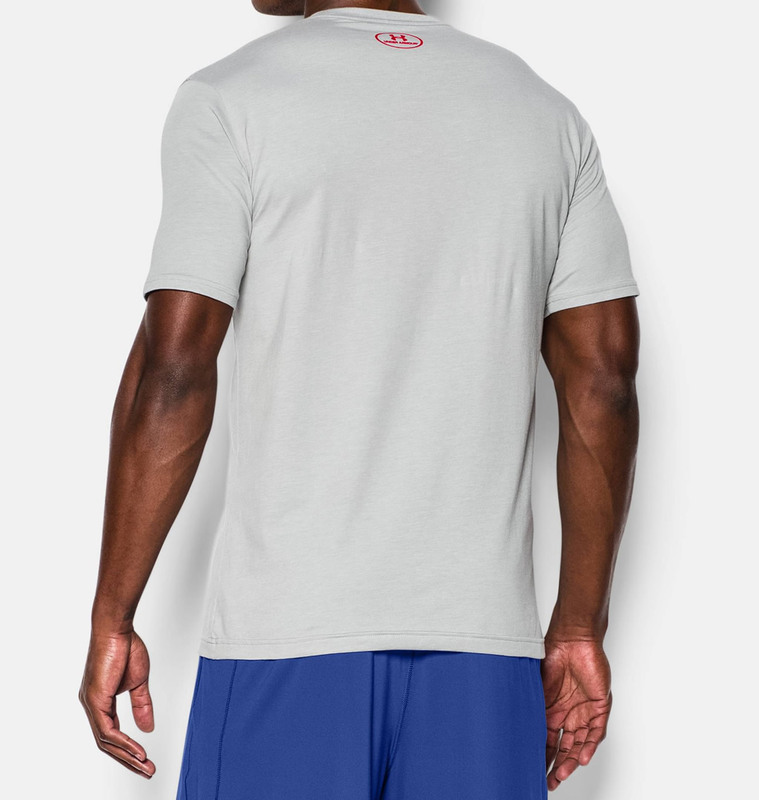 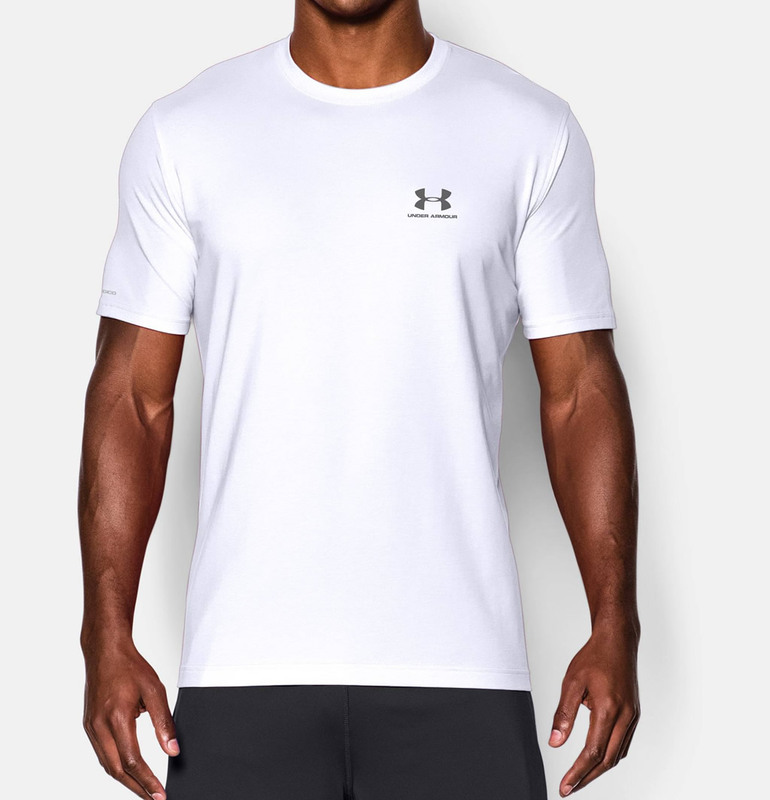 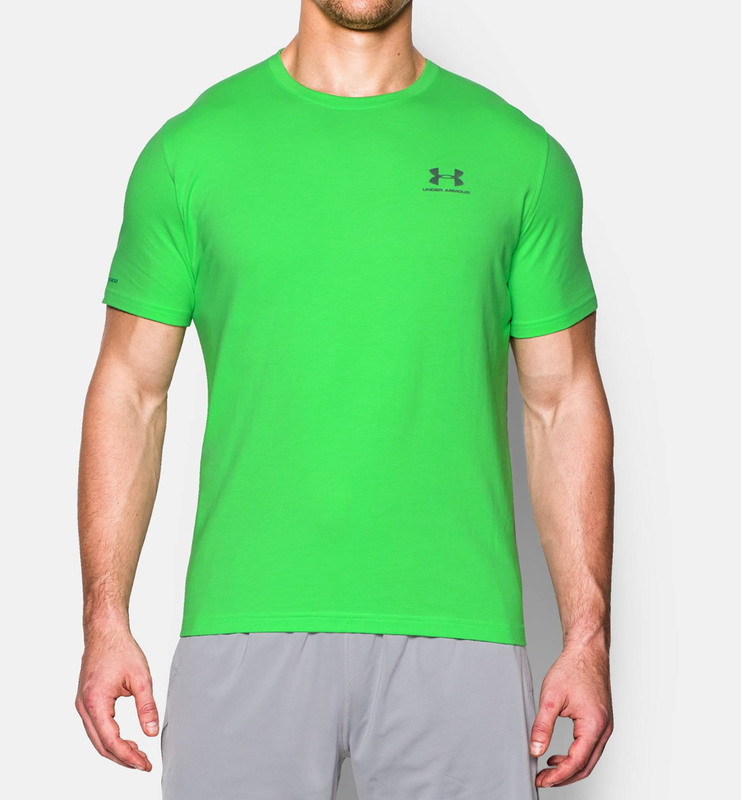 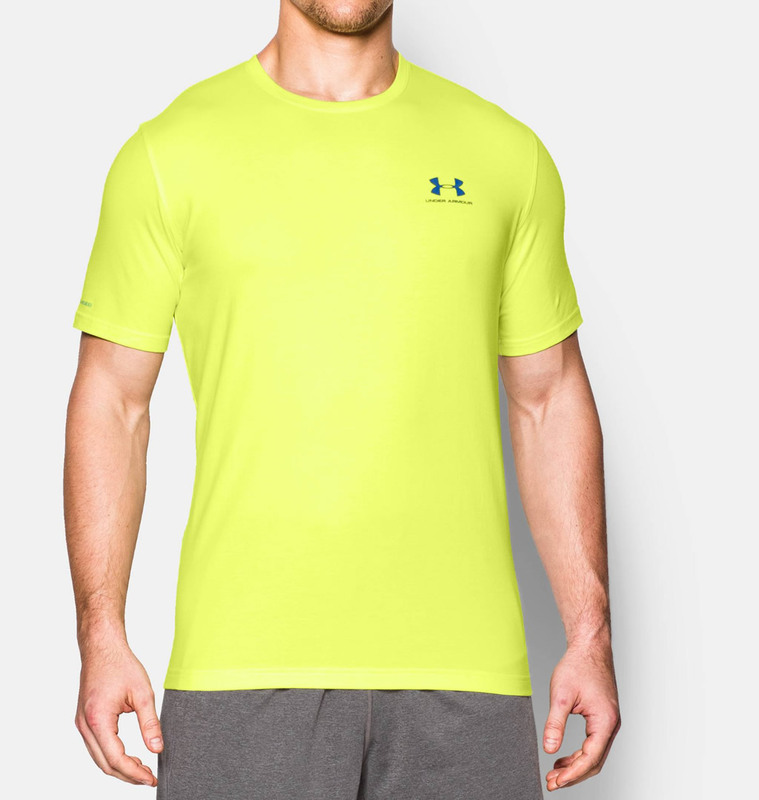 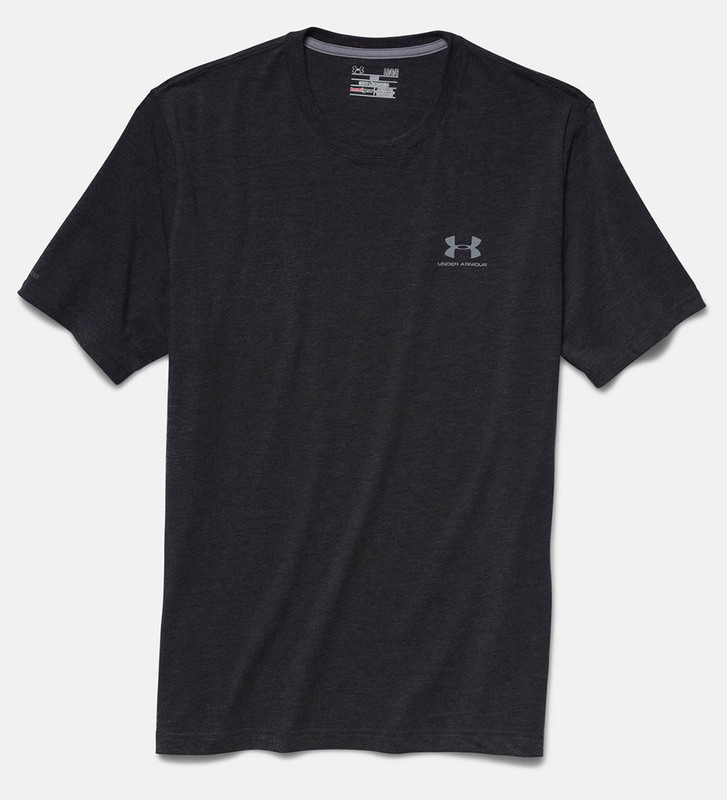 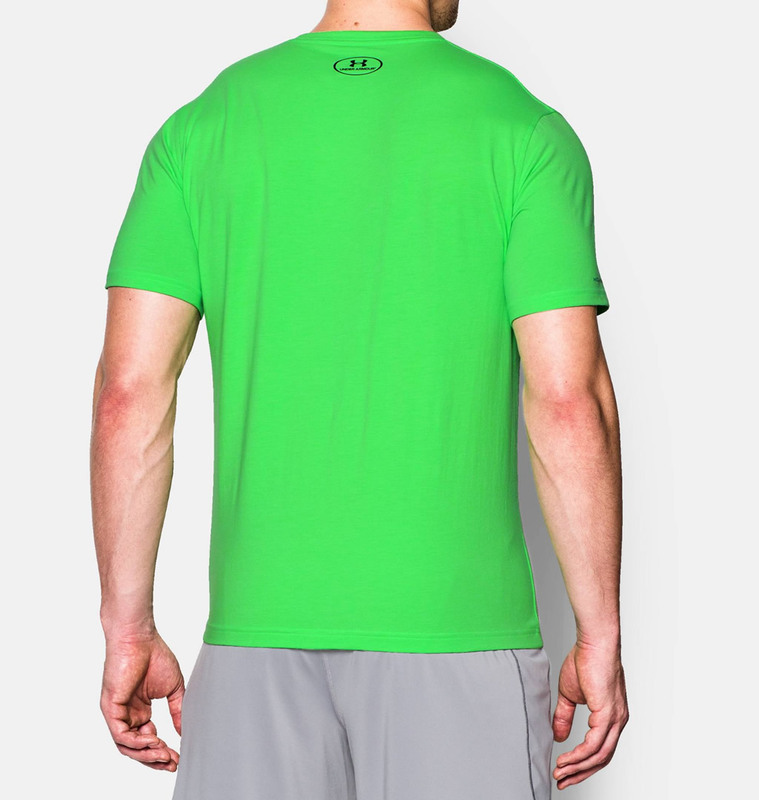 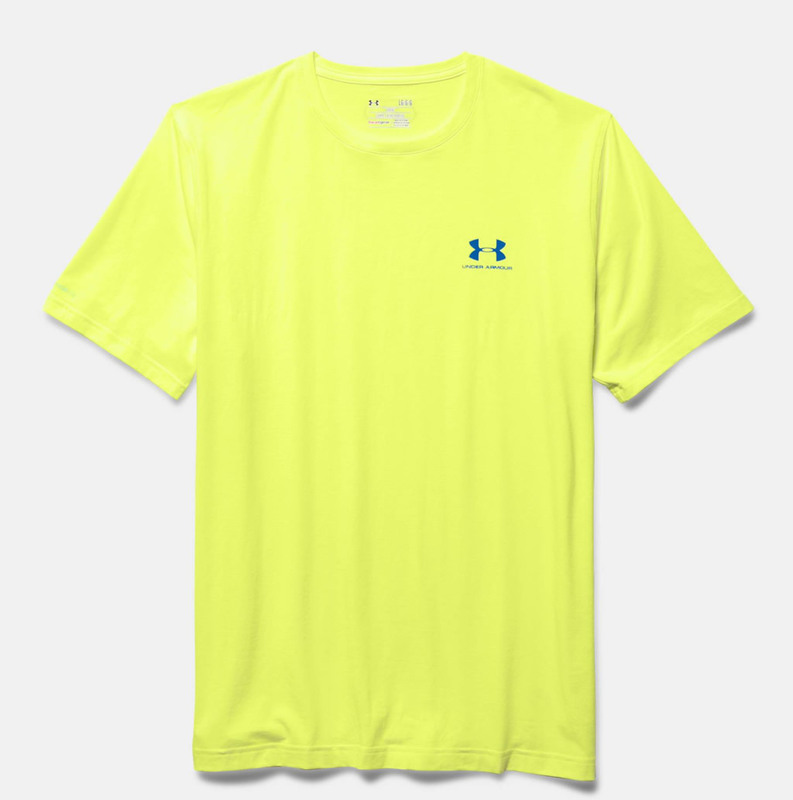 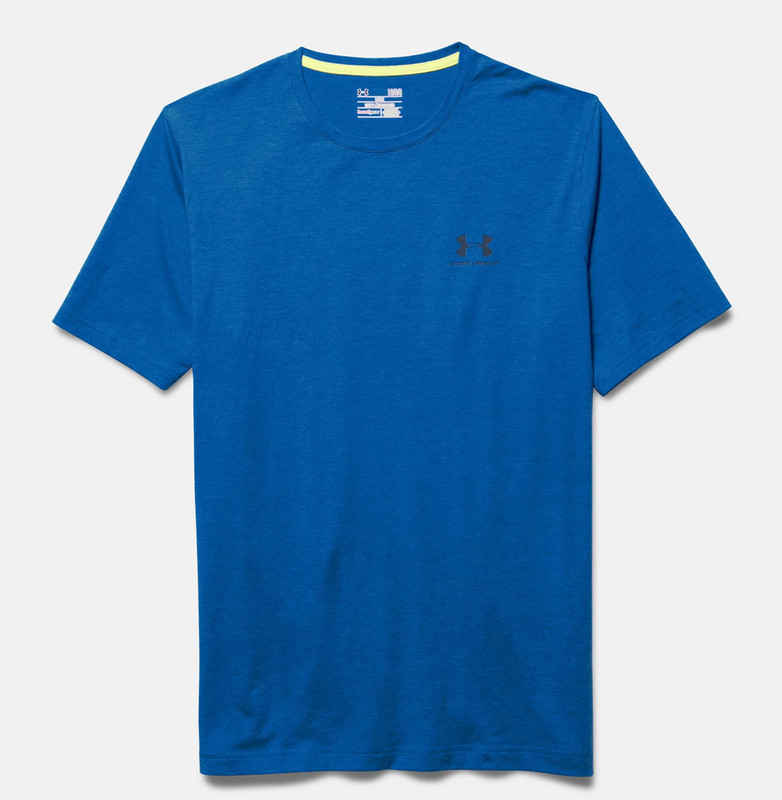 Next up we have this Under Armour men’s short sleeve t-shirt, which is actually named UA Charged Cotton Sportstyle. 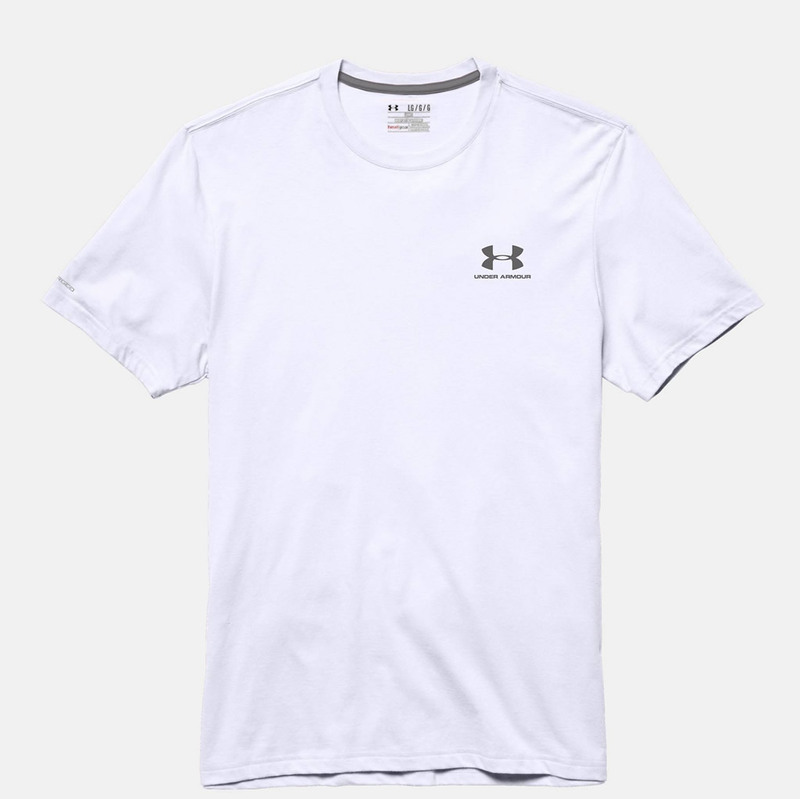 The special material used in its manufacturing provides the unmatched comfort of cotton as well as quick-drying capabilities. 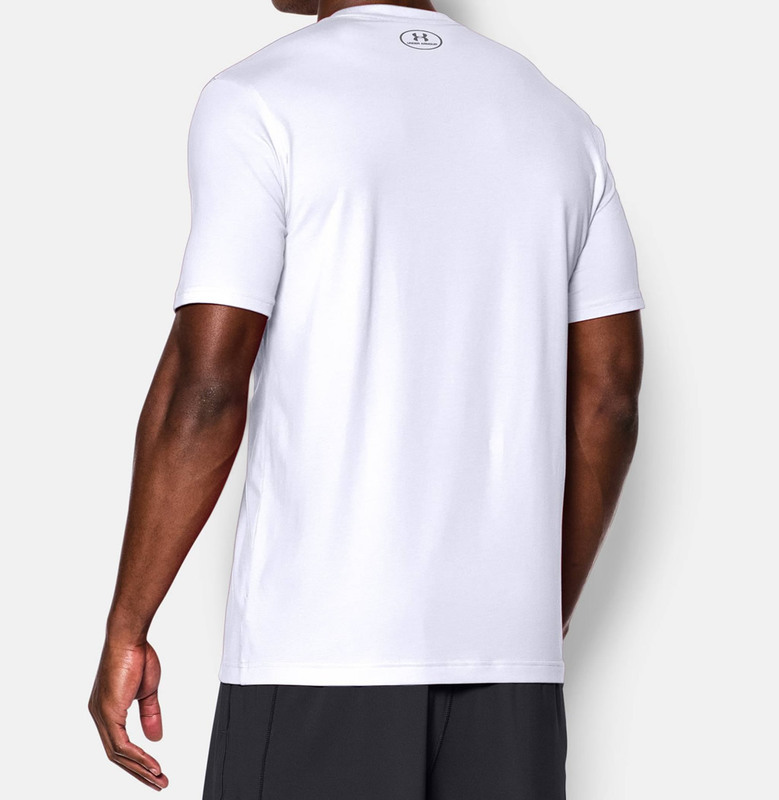 The shirt features a Moisture Transport System, and it also incorporates Anti-odor technology that deters the growth of odor-causing bacteria. 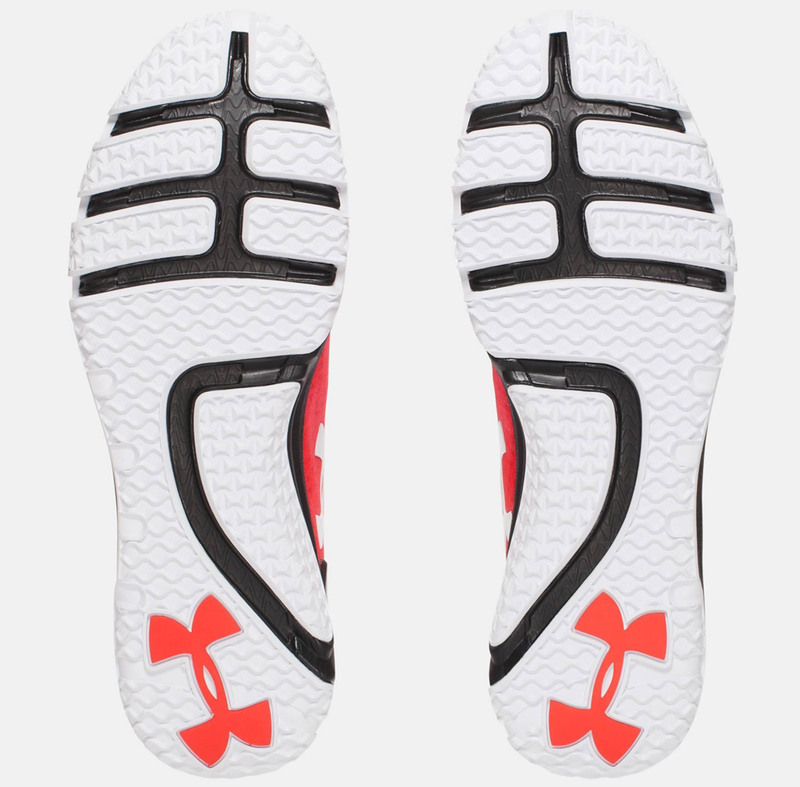 The four-way stretch fabrication is also a big plus, of course. 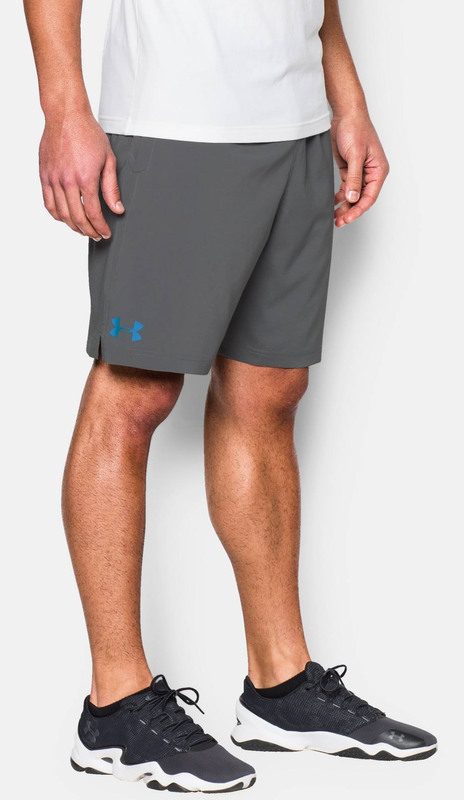 Available in a plethora of colorways such as True Gray Heather, Carbon heather, Red, Bolt Orange, Laser Green and Ultra Blue, the UA Charged Cotton Sportstyle is a great choice for all of you active types. 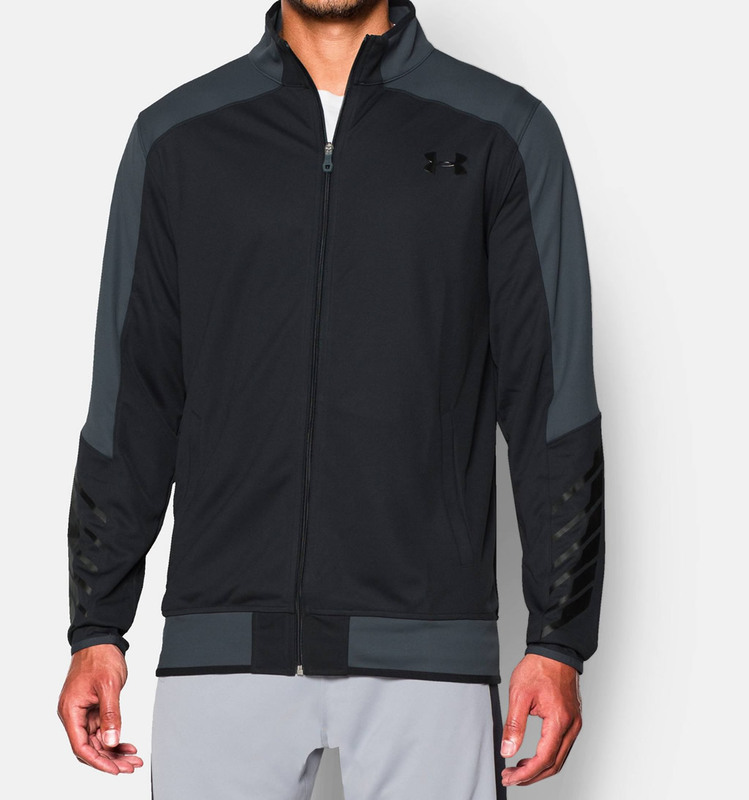 What kind of gym outfit would this be without a nice Under Armour warm up jacket? 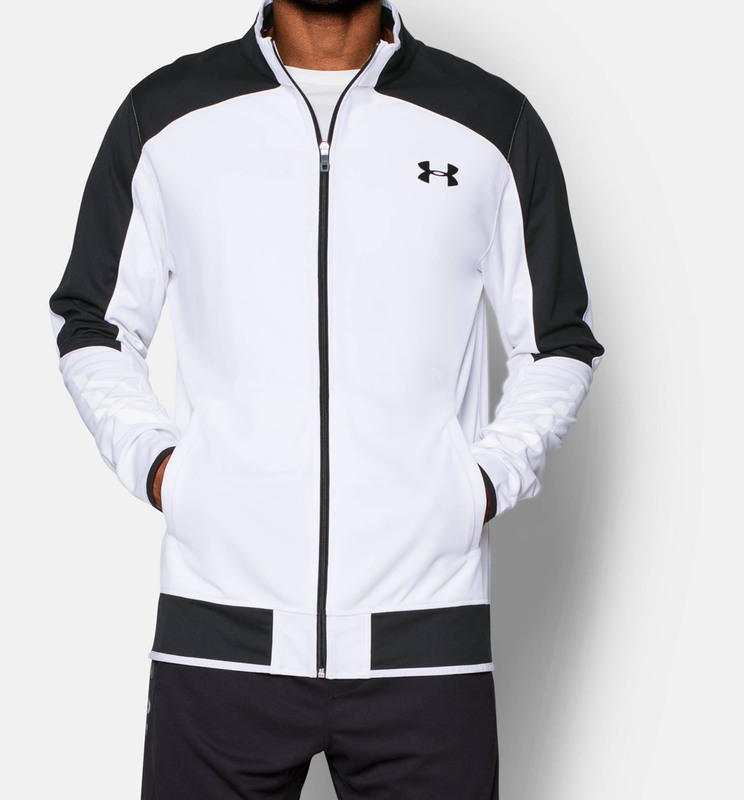 The UA Select Warm-Up is available in either Black or White, and it also incorporates the Moisture Transport System and the anti-odor technology that we described before. 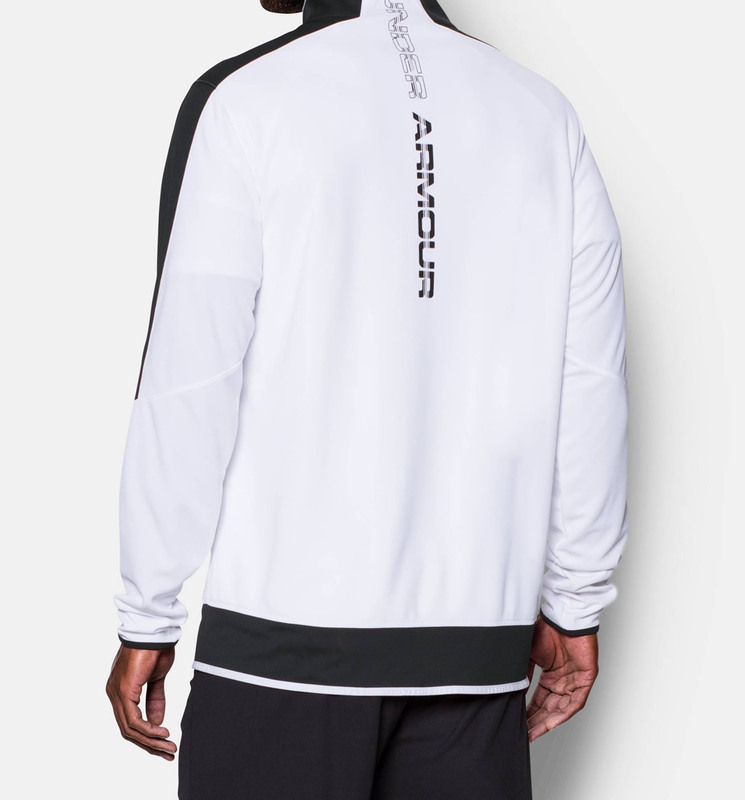 The jacket was manufactured using Polyester, and it flaunts elastic binding on the cuffs, collar and hem. 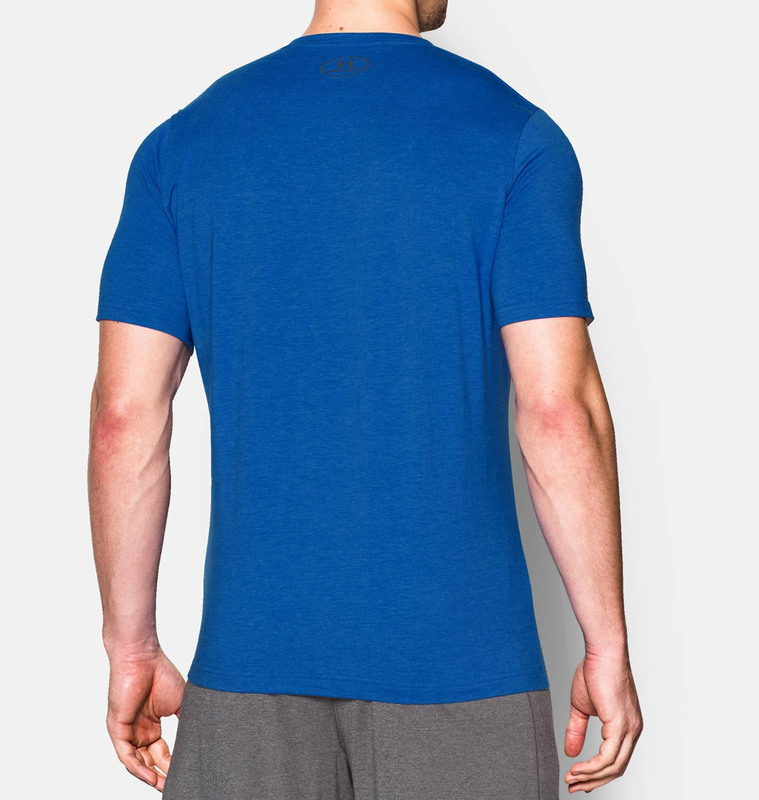 A durable knit fabric is able to trap an adequate amount of warmth, while a breathable mesh fabric inserted on the back ensures perfect ventilation. 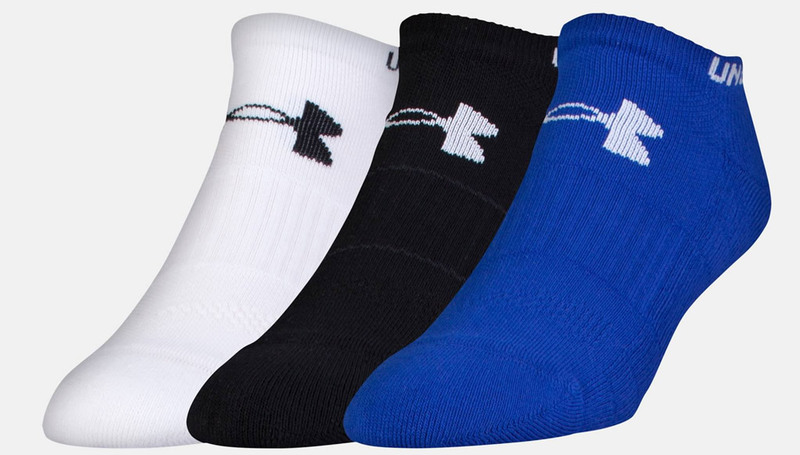 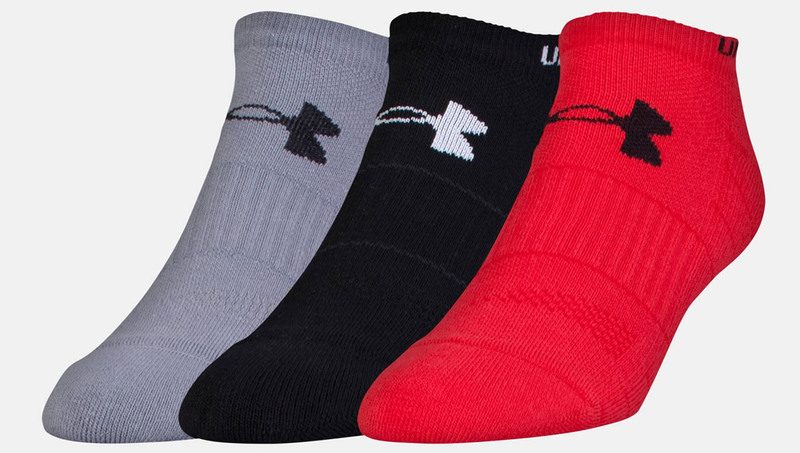 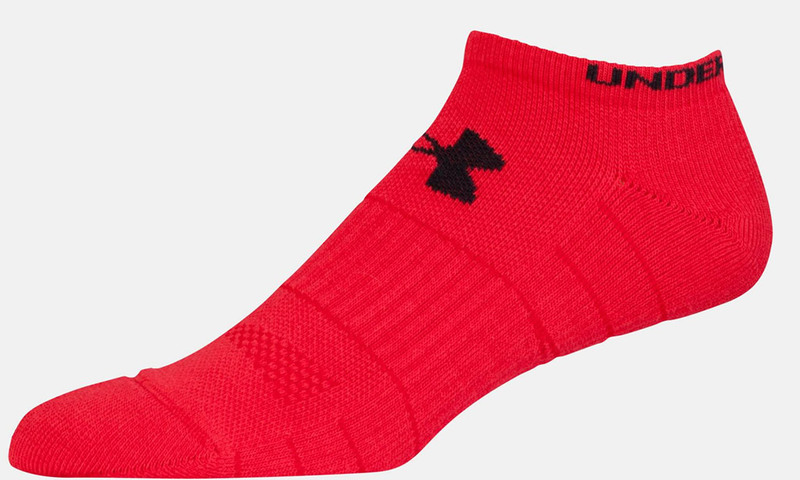 The men’s UA Performance No Show socks feature a special left/right construction for a perfect anatomical feat, and they boast embedded arch support that dramatically minimizes foot fatigue. 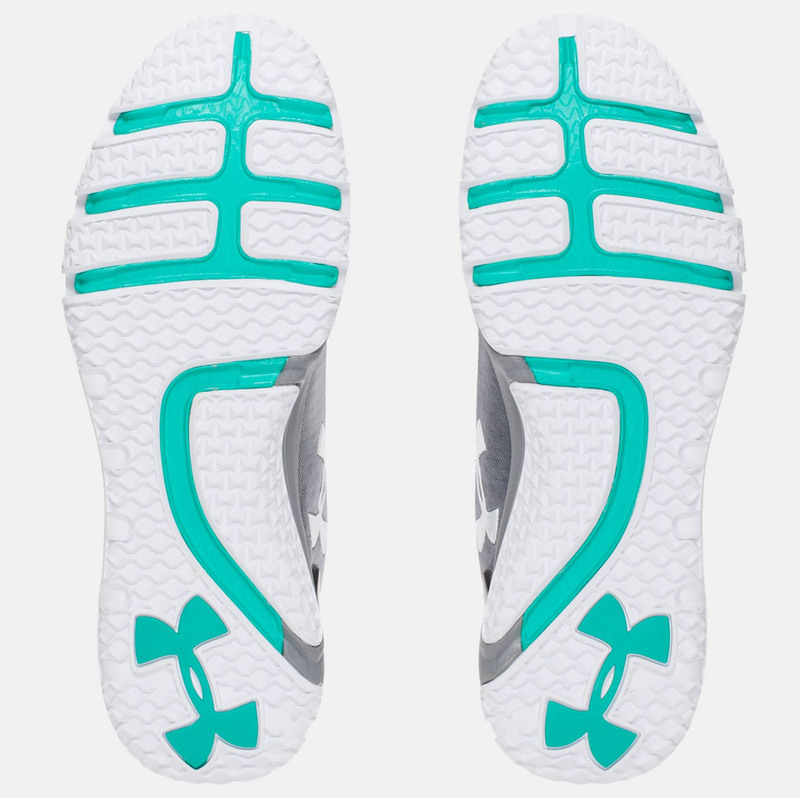 They incorporate Anti-Odor technologies and a Moisture Transport System, as well as strategic cushioning that protects several high-impact areas. 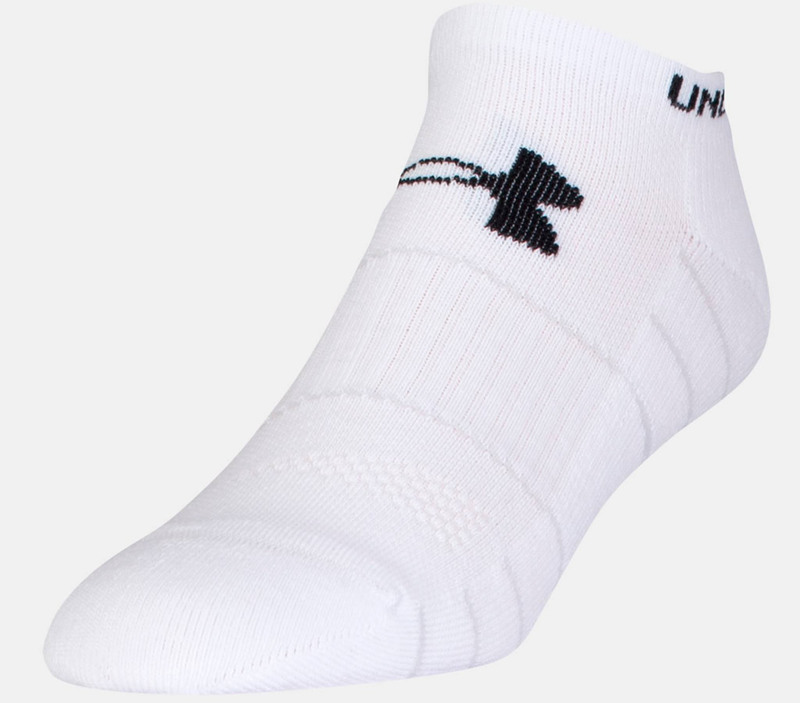 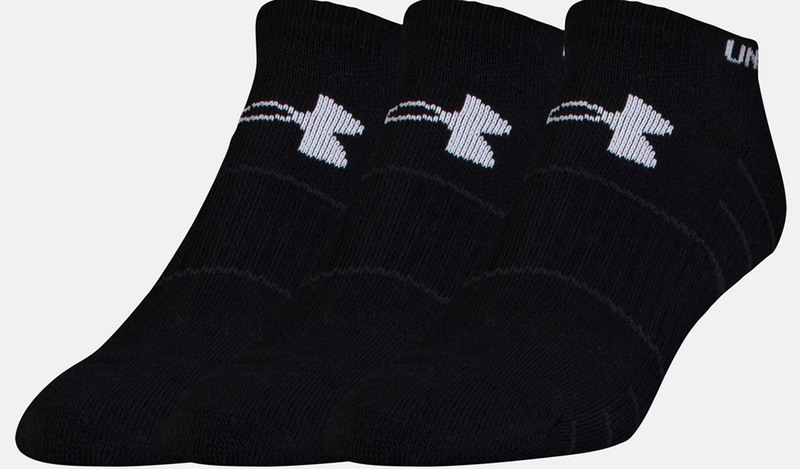 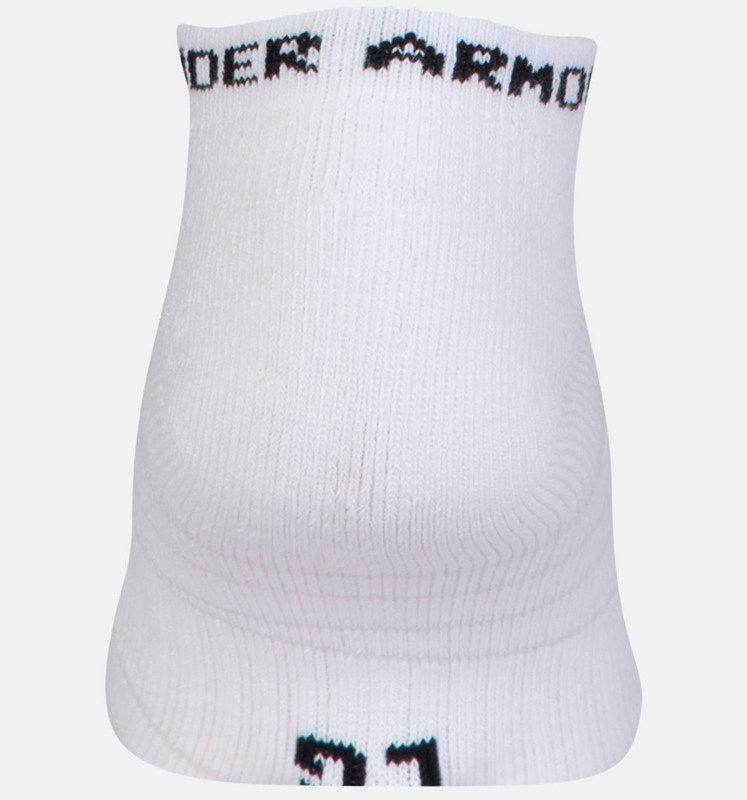 Manufactured using a mix of polyester, cotton, nylon and elastane, these socks also include something called a True Seamless Toe, which reduces irritation by providing a plus of comfort. 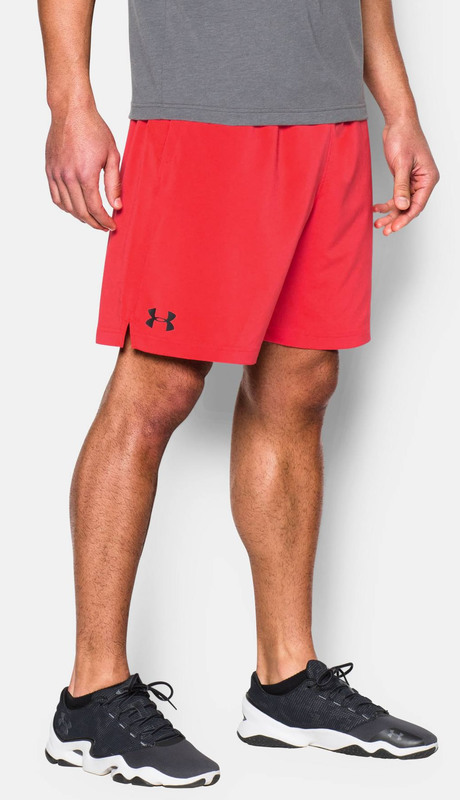 Now that we’ve covered the apparel and footwear, it’s time to have a look at some accessories, and we’re going to start off with the practical UA Band. 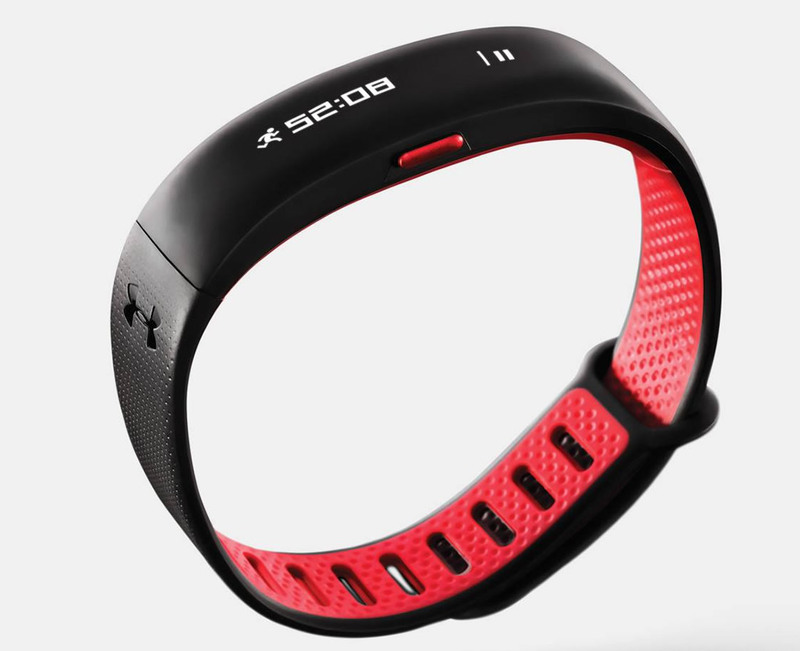 This band is able to measure your resting heart rate, sleep, steps and workout intensity. 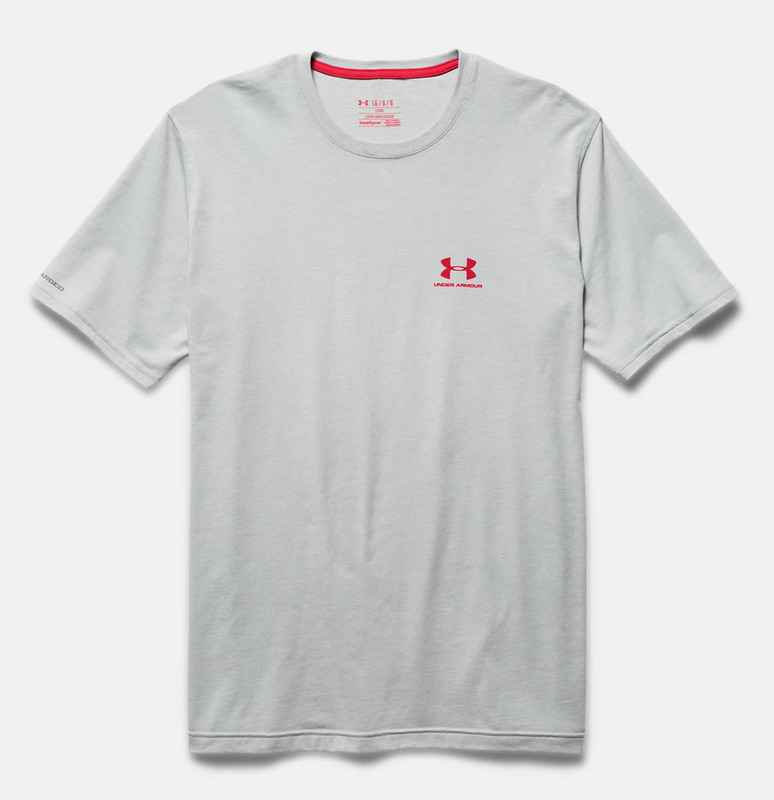 It’s recommended that you wear it at all times, even when you’re not working out, as it can still provide crucial information about your body’s functions. 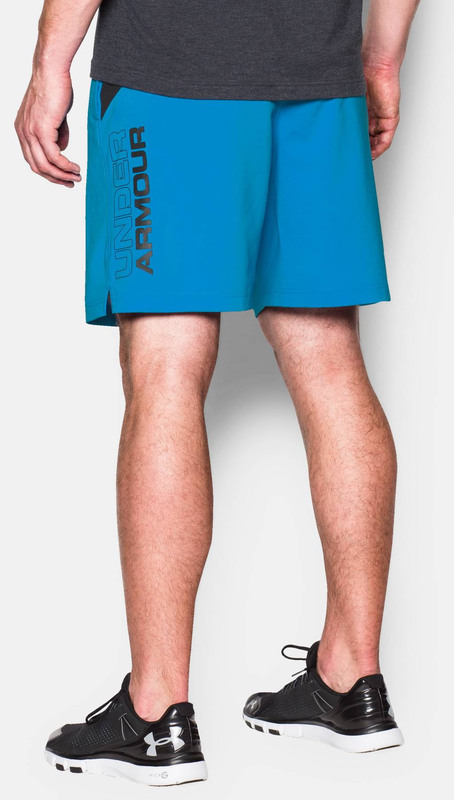 The band boasts a display that stays on automatically during workouts, which means that you don’t have to trouble yourself with pressing any buttons. 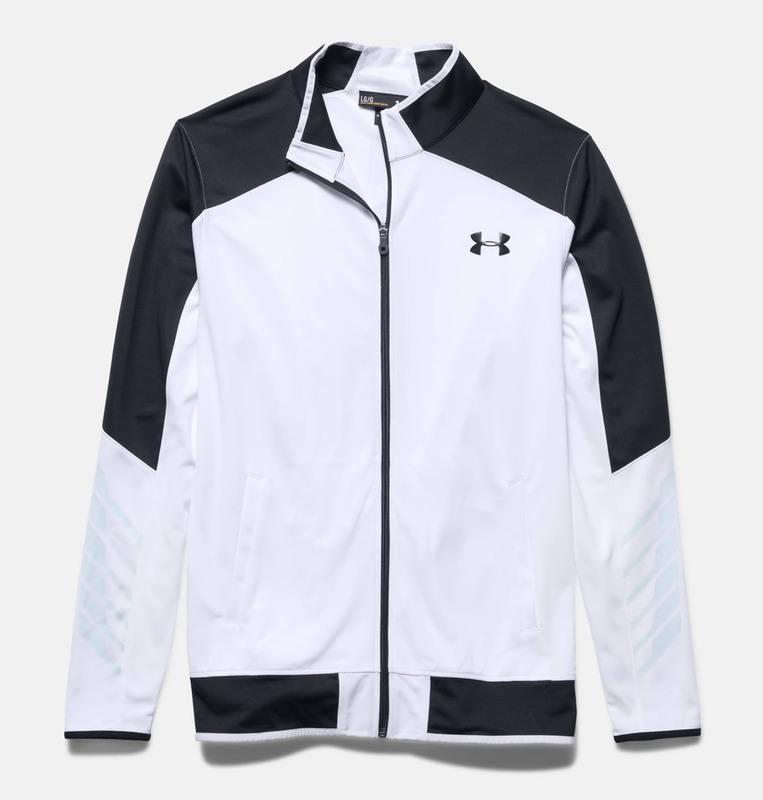 The accessory is water resistant, and it can connect with UA Record. 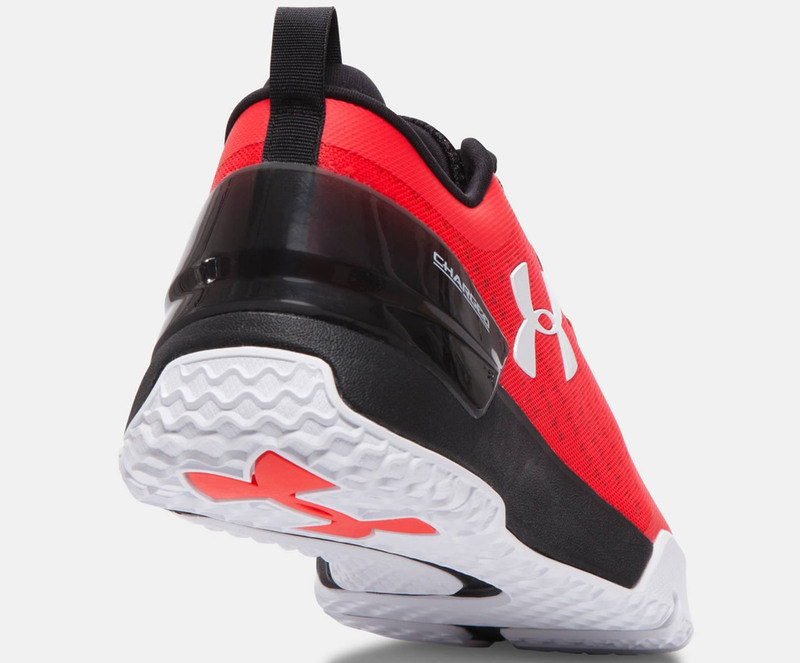 It is also Bluetooth Smart compatible, and it is available in a black/red colorway. 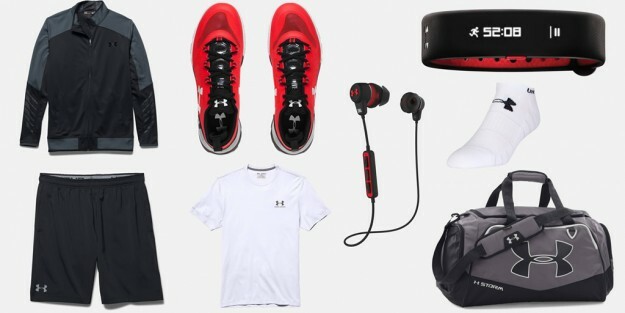 Listening to your favorite tunes can definitely help put you in a good mood thus helping you work out harder and more efficiently. 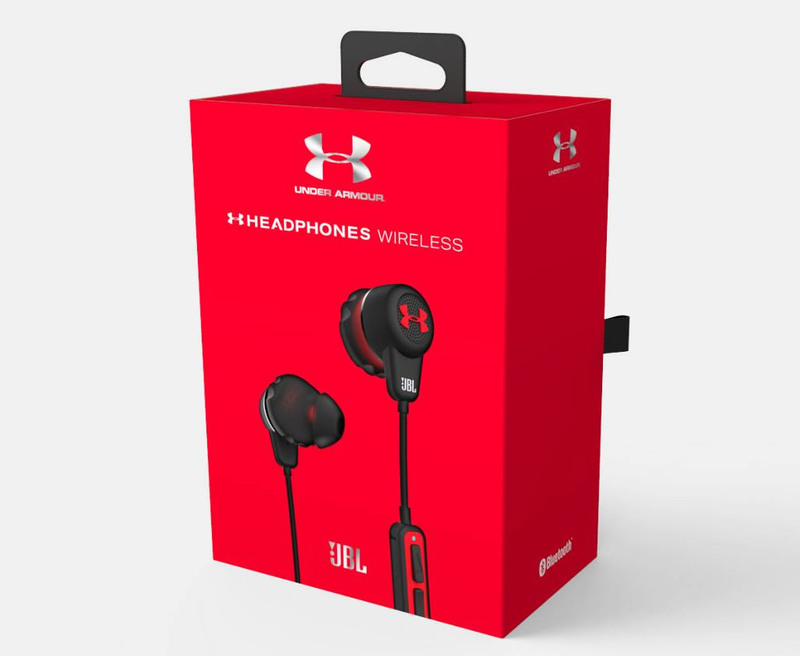 The Under Armour Headphones Wireless were manufactured by JBL, and due to their practical design, they can be worn both in the front or behind your neck. 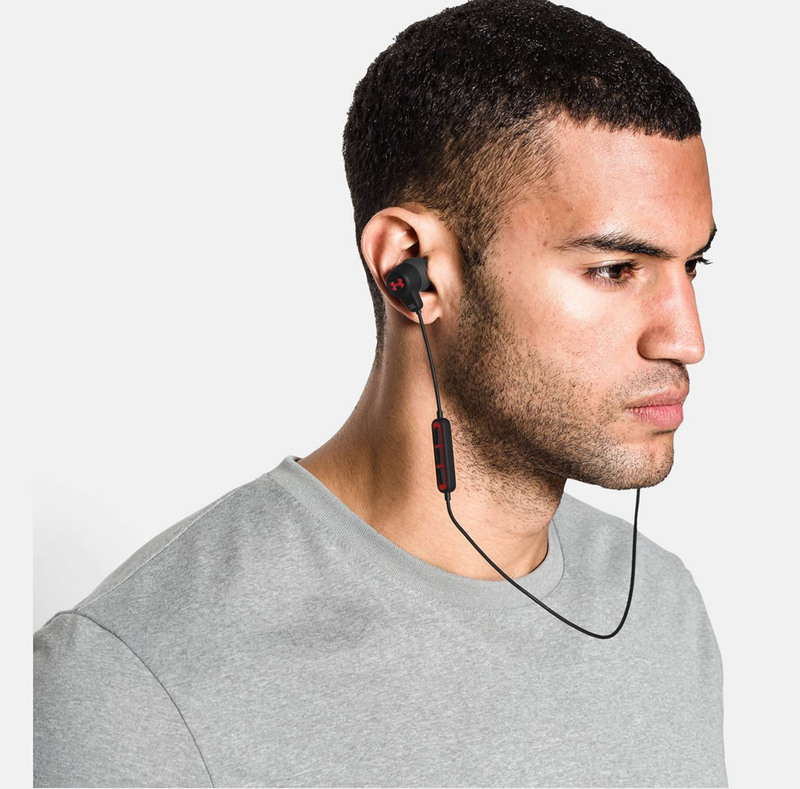 They boast something called Twistlock Technology, which allows the wearer to gently insert the buds into the ear canal and then twist them in order to lock them in place. 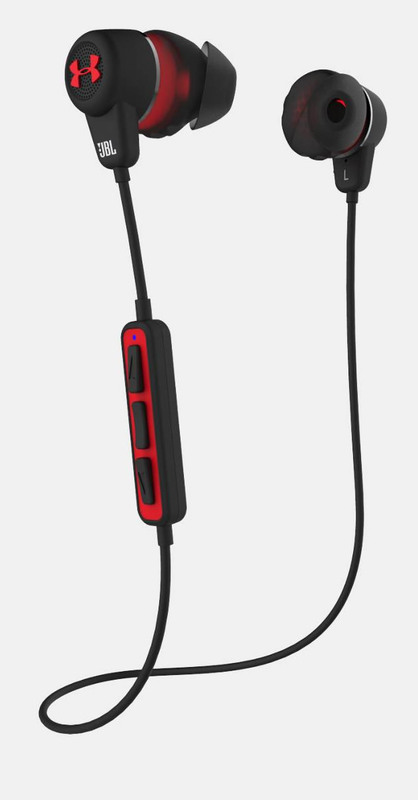 The ear tip was designed specifically to put as little pressure as possible on the ear canal, which means that it is incredibly comfortable. 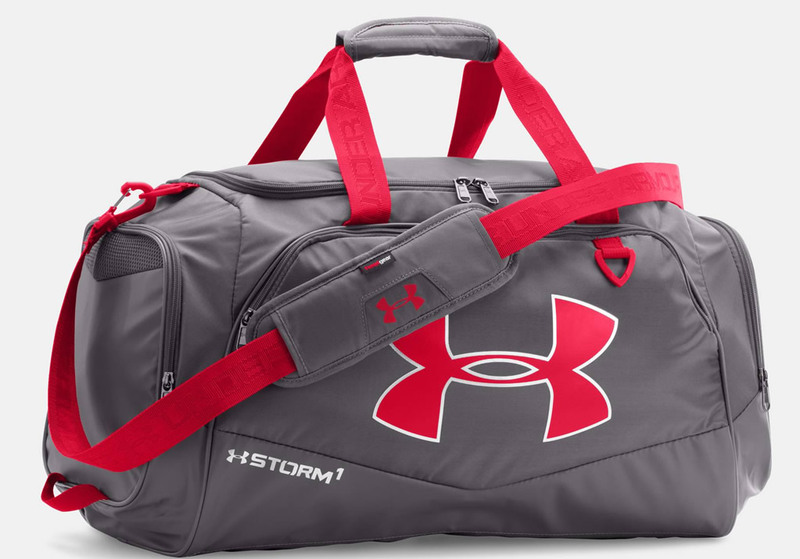 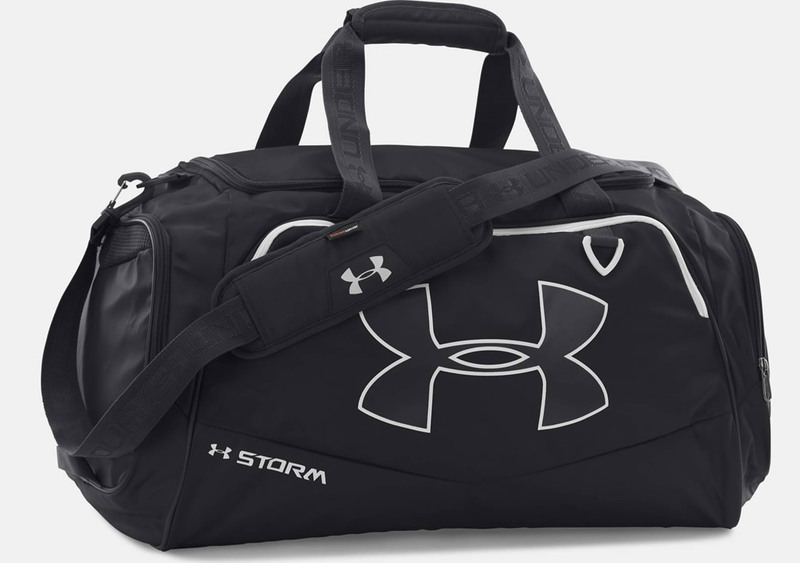 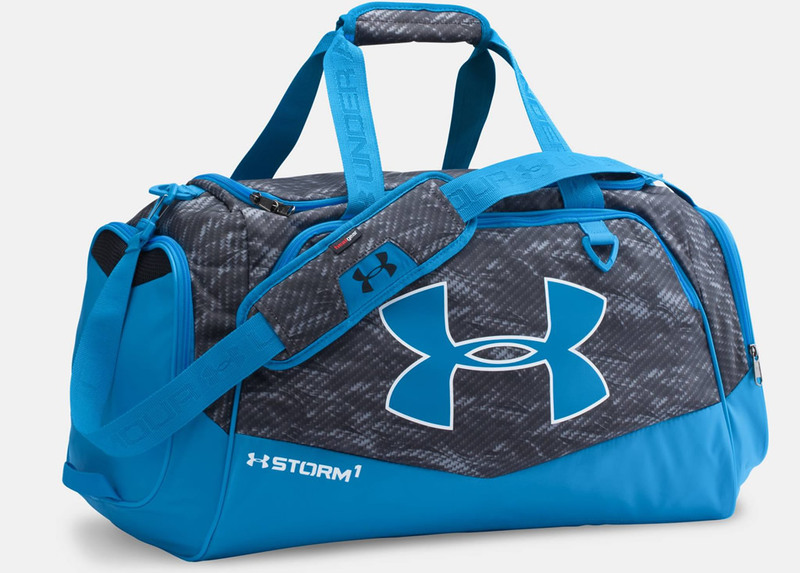 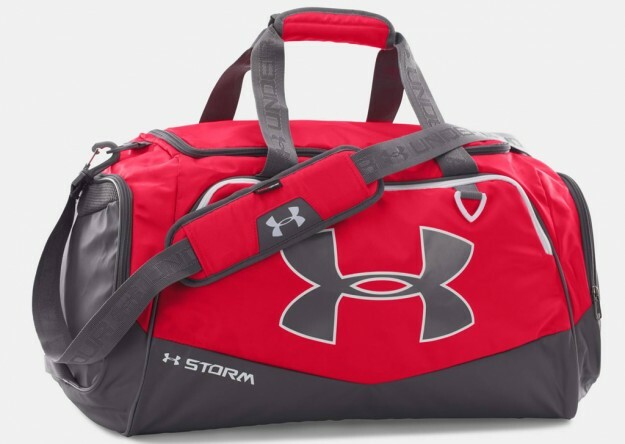 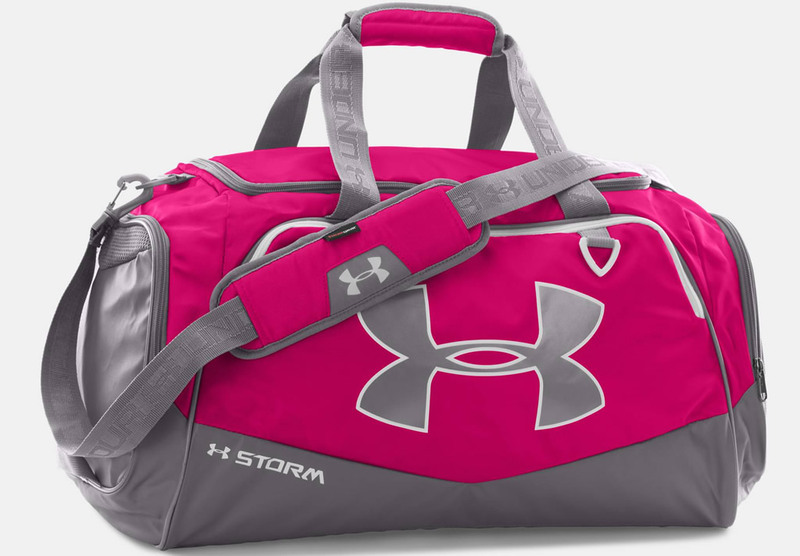 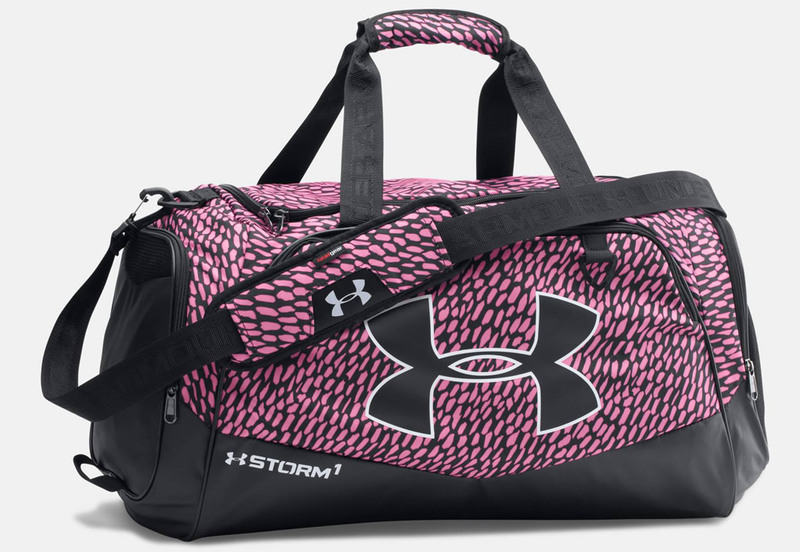 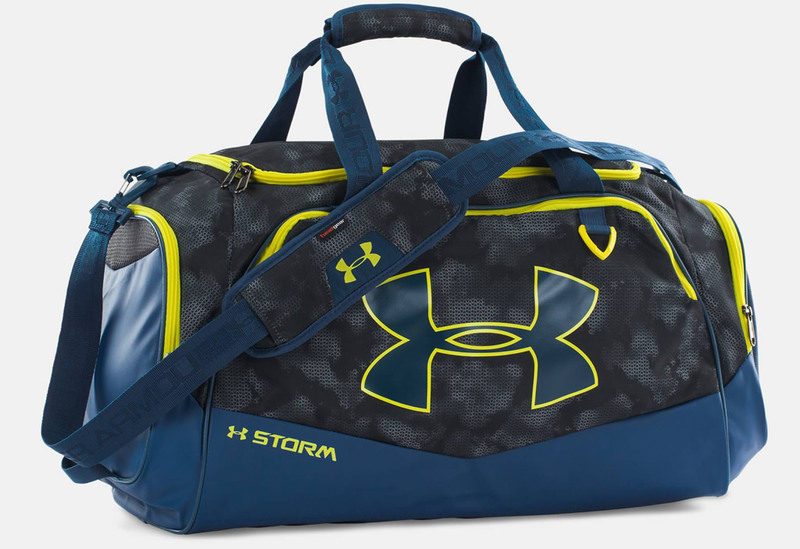 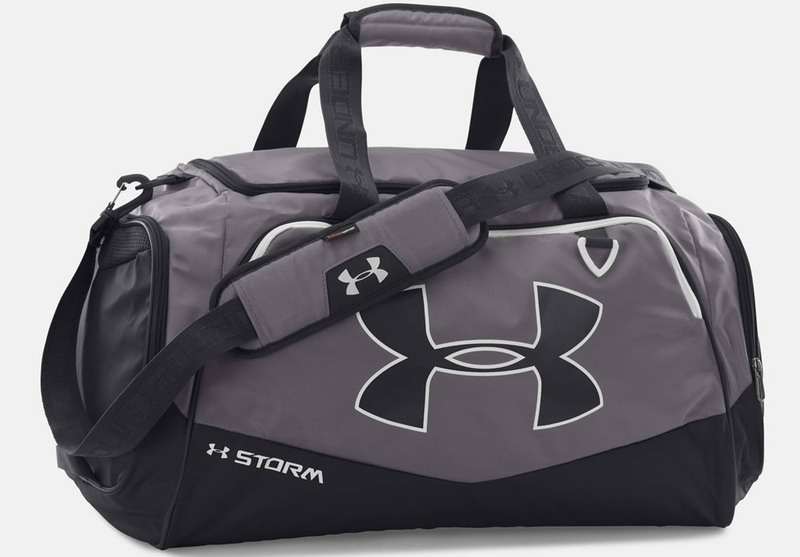 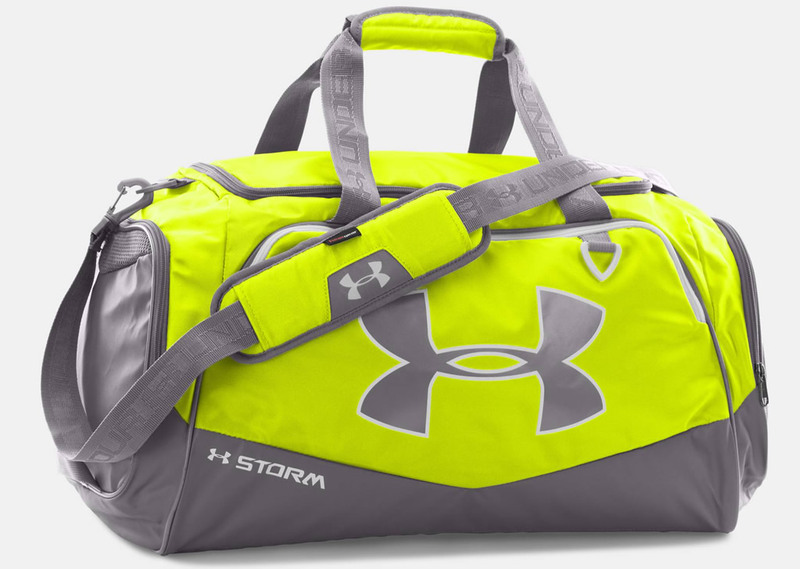 The final piece of your perfect men’s gym outfit is the Under Armour Undeniable II Medium duffle bag that will help you carry all of the aforementioned equipment in style. The bag comes with an adjustable HeatGear shoulder strap and with a padded top grab handle, not to mention the D-ring on its front panel, which provides an extra attachment point. 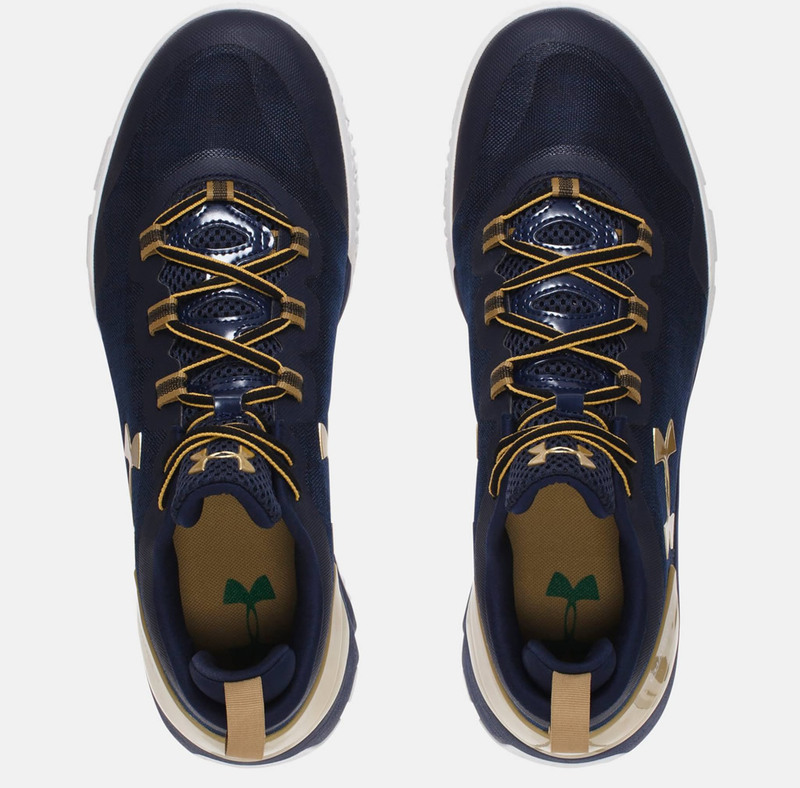 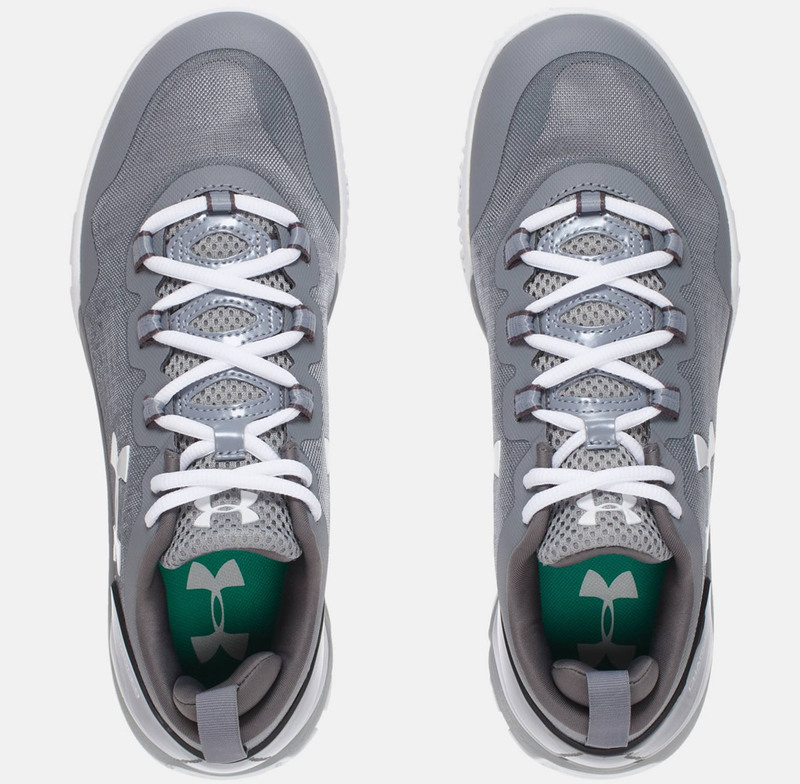 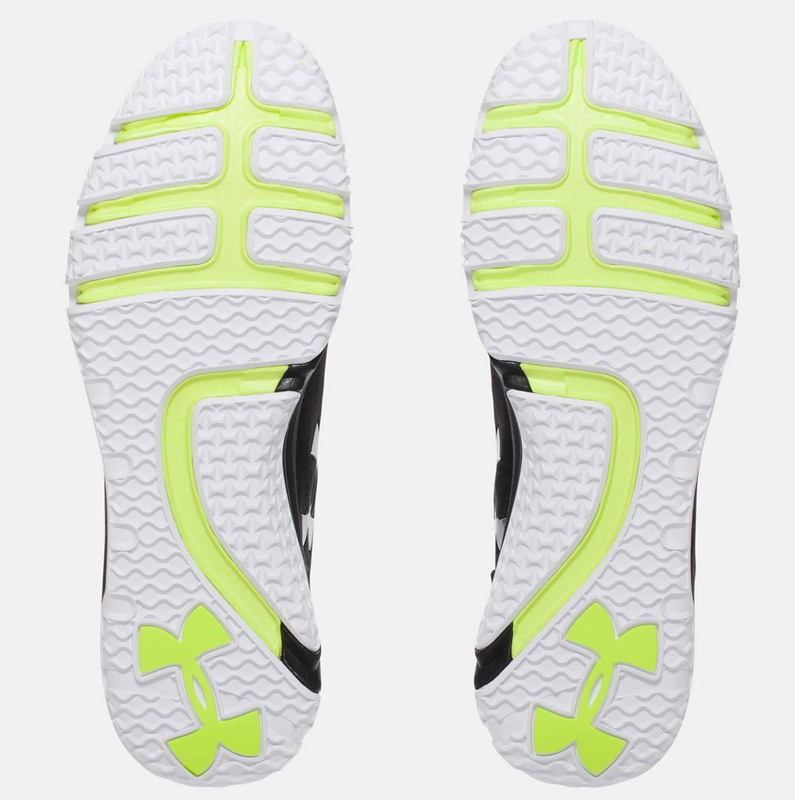 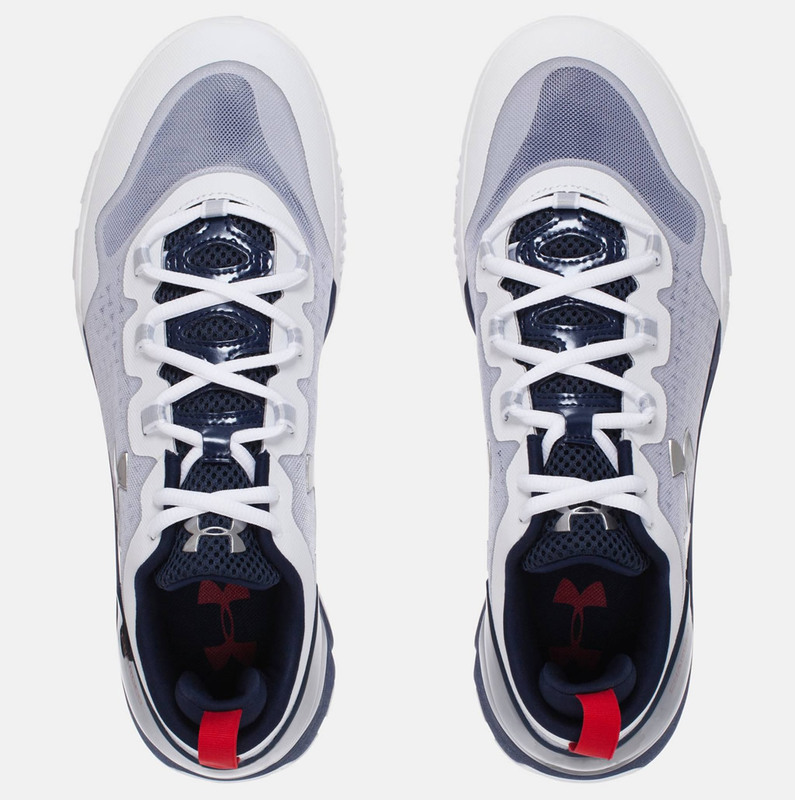 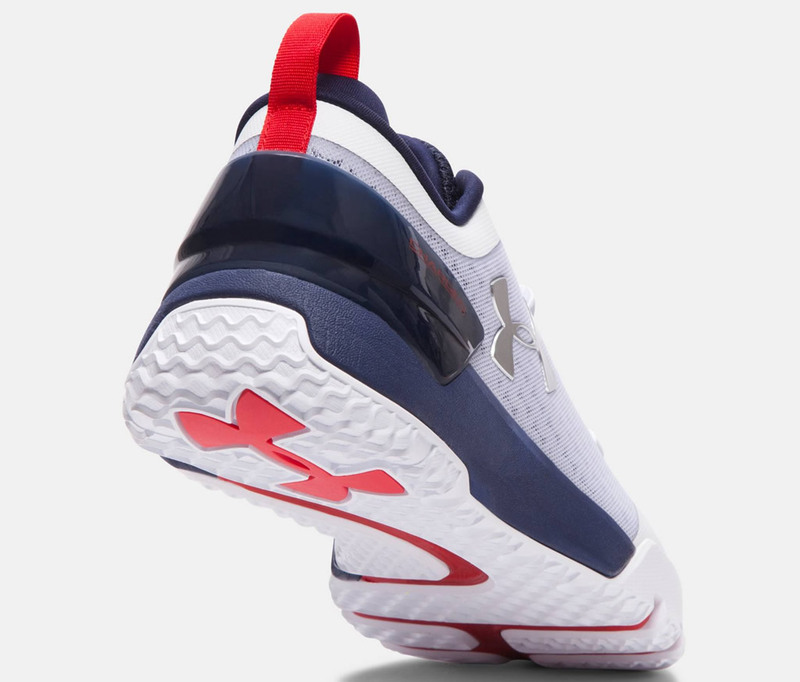 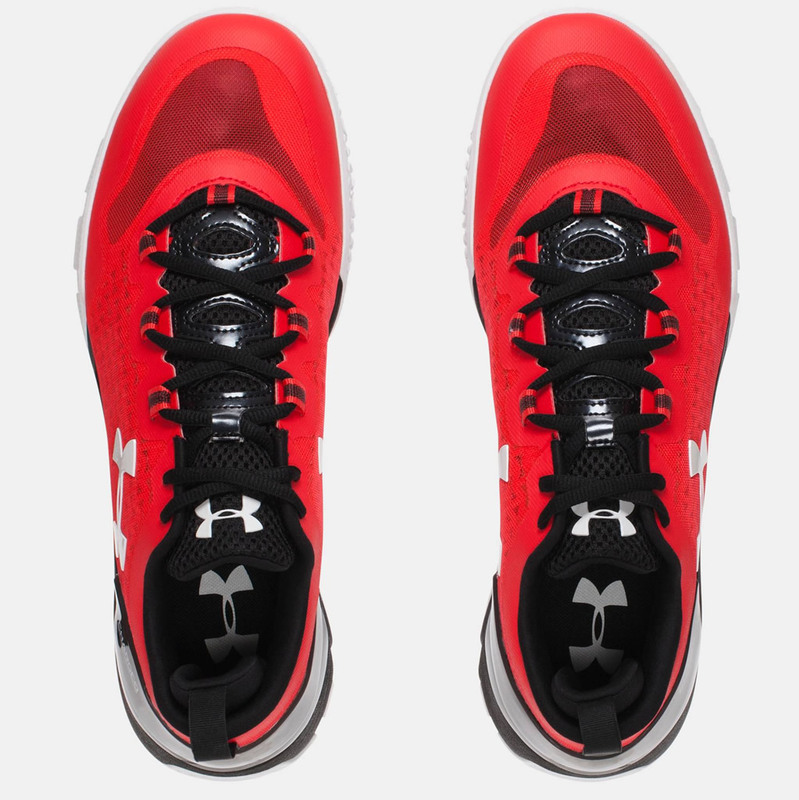 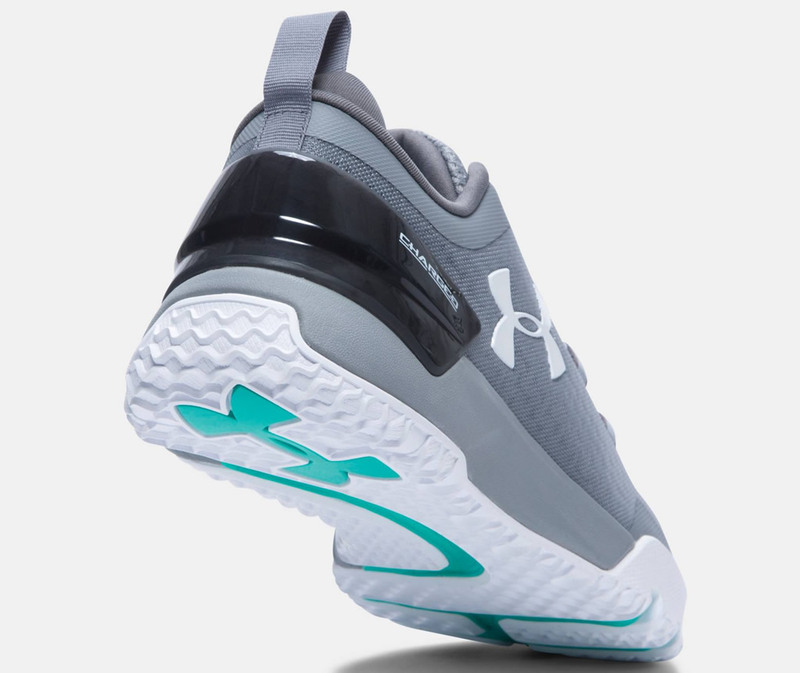 The product also impresses with UA Storm technology, which ensures a water-resistant finish. 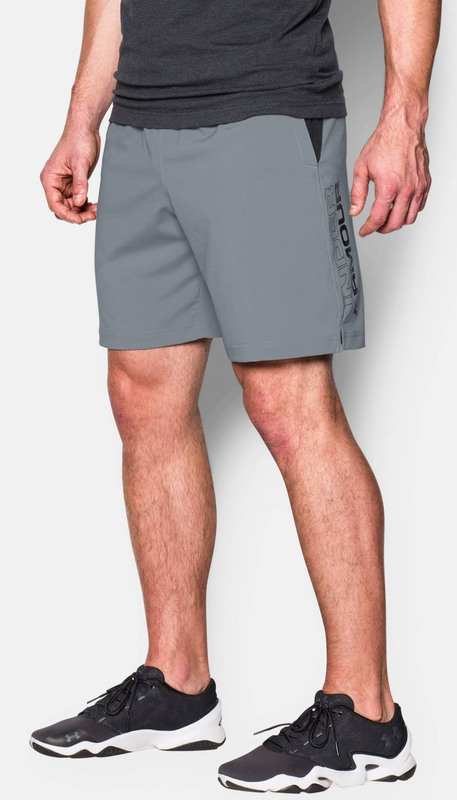 The abrasion-resistant bottom and side panels also deserve a mention, as does the large front zippered pocket and the vented pocket designed to accommodate shoes or laundry. 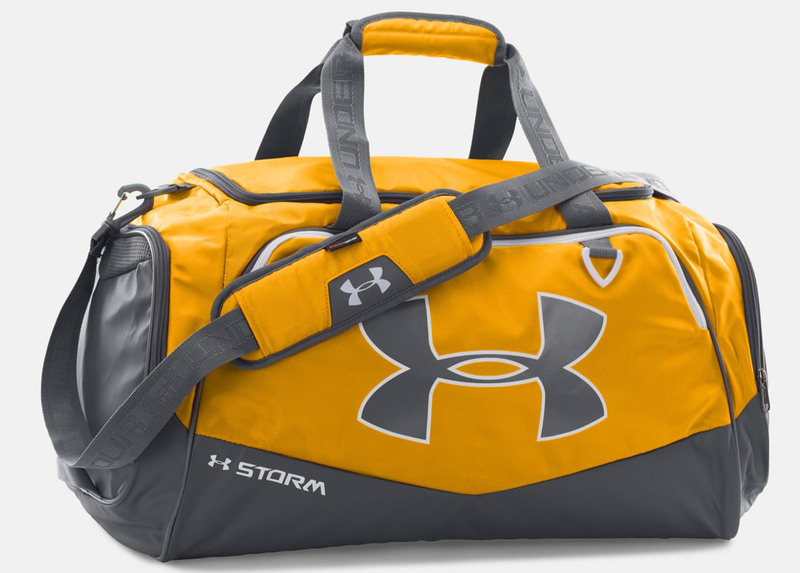 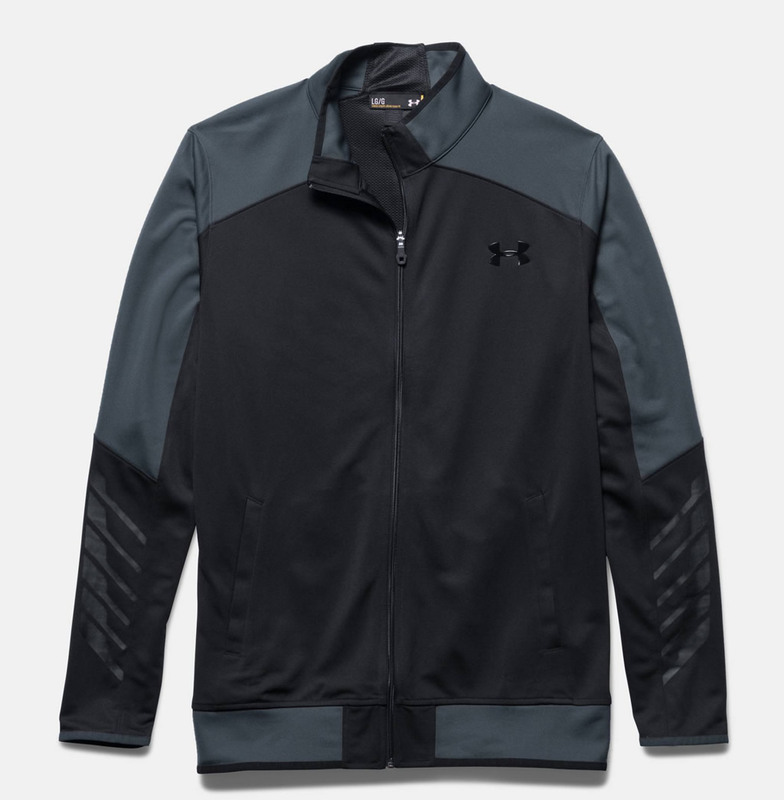 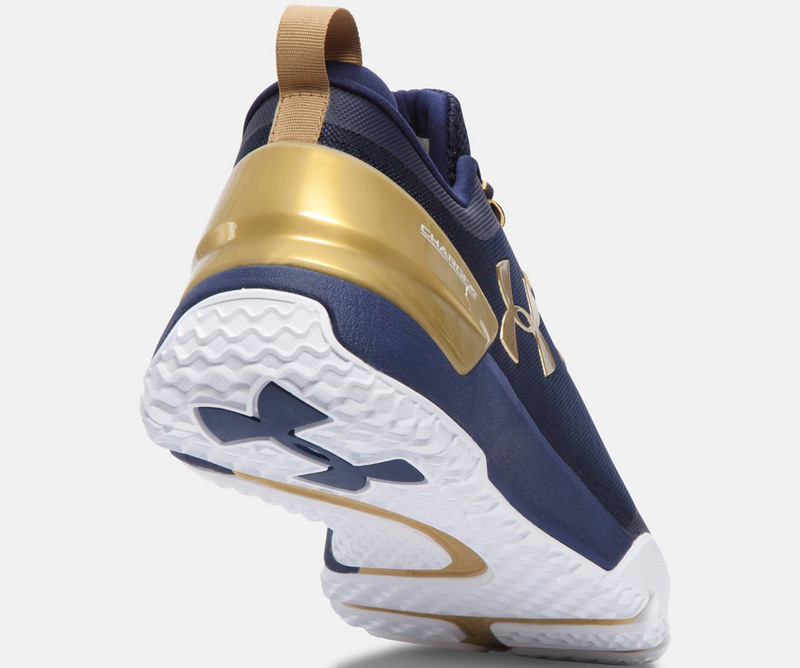 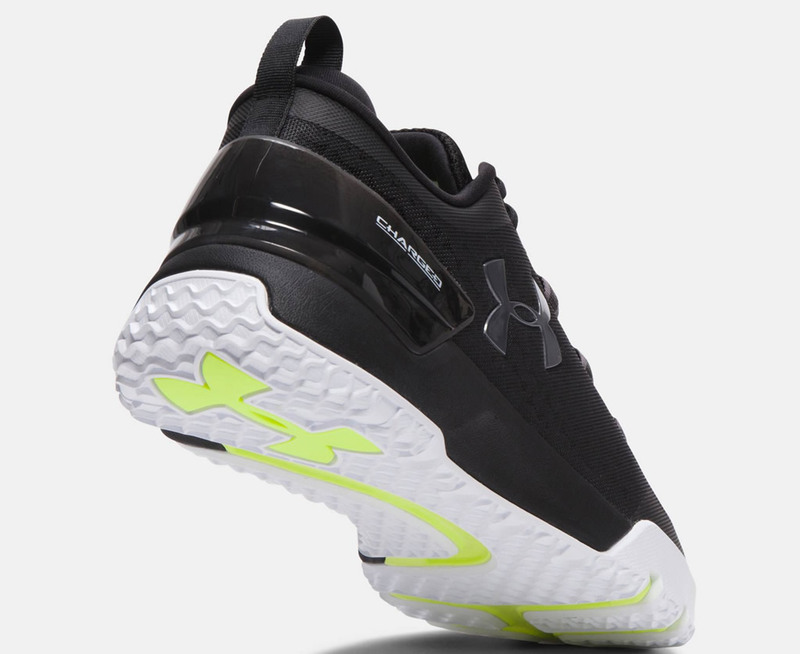 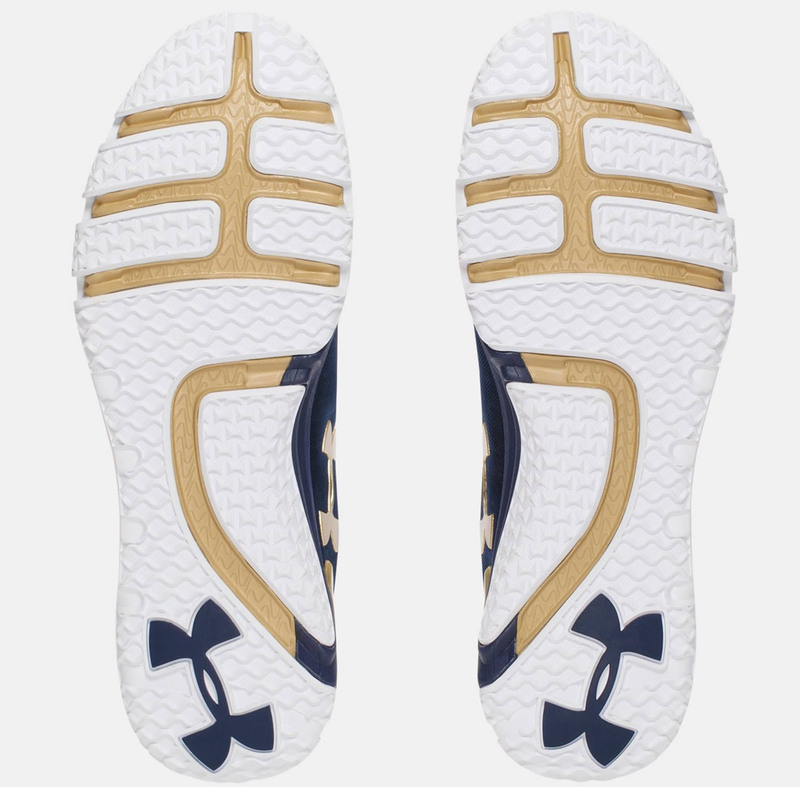 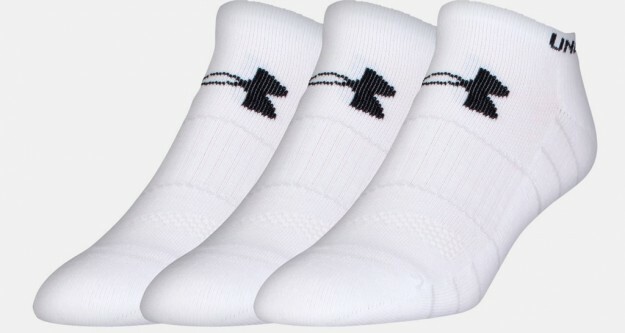 As with most Under Armour products, this one is available in several colors such as Black, Graphite, Steeltown Gold, Beta Orange, Red and Tropic Pink.